Holiday fun that will last a LIFETIME! Looking for something to do with the family this school holiday/Easter break? Something that will keep the kids and you occupied for a ……LIFETIME! 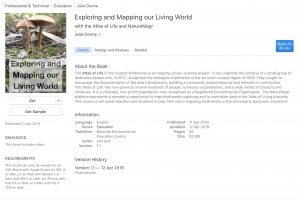 Then go ahead and download a copy of the Bournda EEC/Atlas of Life multi-touch book, “Exploring and Mapping our Living World – with the Atlas of Life and NatureMapr”. 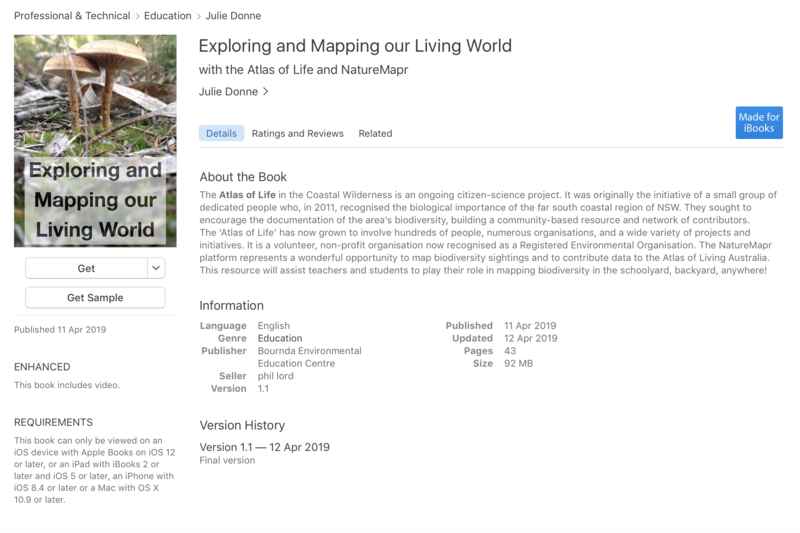 Created by Bournda EEC teacher Julie Donne, this wonderful teaching resource will be introduce you to the wonderful world of citizen science, where you can play an important role in mapping the biodiversity of our local region. Has that spider ever been sighted before? Is that bird out of its normal range? 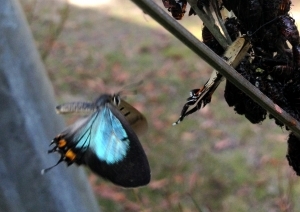 Has anyone sighted that butterfly at this time of the year? So many great scientific questions that could be answered through the sightings that you make in your backyard, local national park, on your farm….ANYWHERE! Produced in partnership with the Sapphire Coast Regional Science Hub and Sustainability Education Network and the Atlas of Life in the Coastal Wilderness, the book features stunning images of local biodiversity by local naturalists. 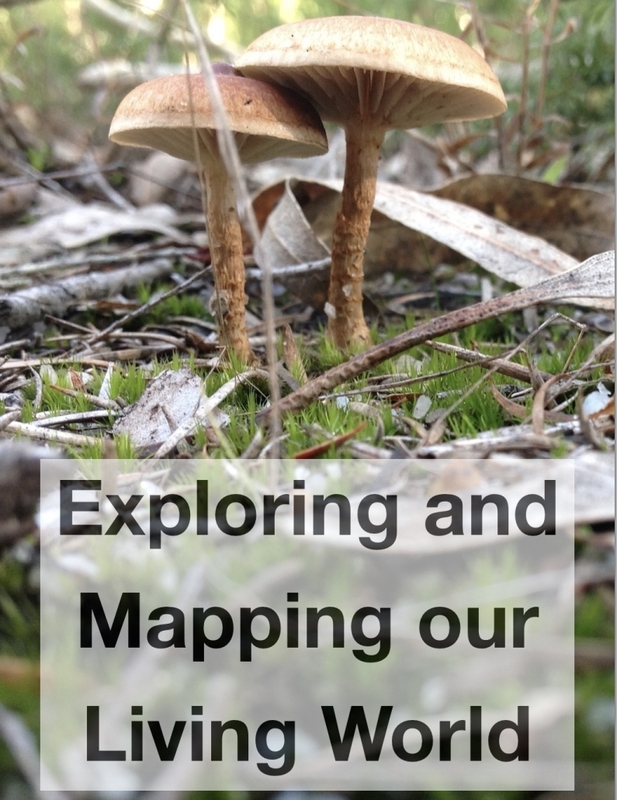 There are step-by-step instructions on how to use the NatureMapr app to record your sightings. 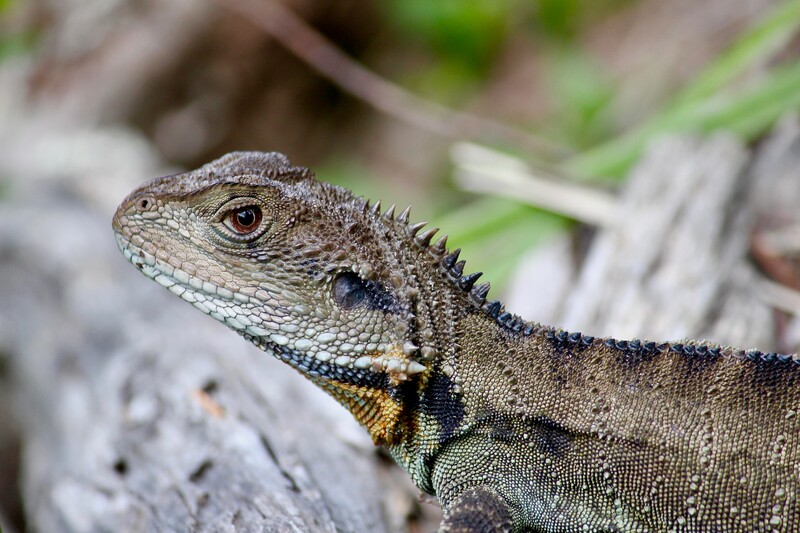 Eventually the data you record becomes part of the CSIRO’s Atlas of Living Australia biodiversity database which has nearly 85 MILLION occurrence records. There could be a bit of rain around but we are hoping it will hold off till this afternoon. If students have a raincoat or umbrella that will help. It will be quite warm so don’t forget the hat, sunscreen and water bottle! This workshop is essential for anyone working on sustainability education projects or engaging with the community on environmental issues. Learn the steps to planning a best practice Sustainability Education and Engagement project and discover how the new nature connection program ‘Take Me Outside’ can help your school, community group or government organisation. Whether you are from local or state government, a school, non-government organisation, community group or business, this workshop is an essential part of your professional development for 2019. Do you educate or engage with residents, students, landholders, community groups, businesses or colleagues on environmental issues? Are you looking for project ideas, activities, resources and support to help students, educators and community members to get outdoors? Do you have to report back to your organisation on how your education and engagement projects are helping our environment? Would you like to know how to enhance your programs so that they incorporate best practice principles? Are you interested in finding out how to work collaboratively with other organisations and sectors in your region? 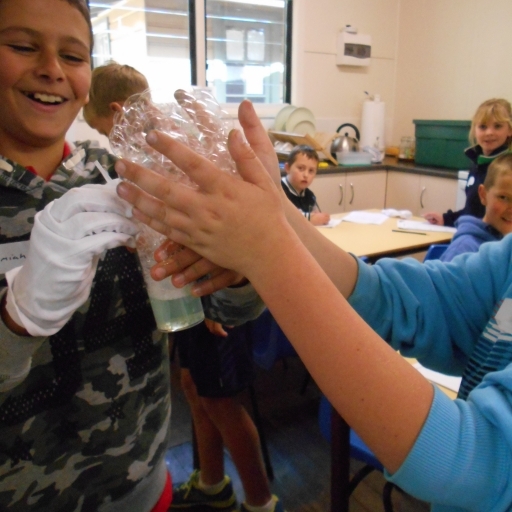 These workshops are part of the ‘Best Practice Sustainability Education and Engagement for NSW’ project supported by the NSW Environmental Trust, the Sapphire Coast Regional Science Hub and Sustainability Education Network and Bournda Environmental Education Centre. 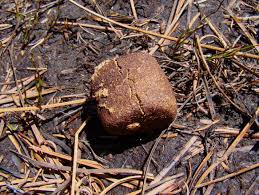 Ever wondered how wombats make cubic poo? A big thank you to the Bega High School PEHEPD staff and Year 10 students for the last two days of Life Ready activities at Bournda. The BHS school community has been through a terrible week but the students turned up ready to participate and showed a very resilient attitude. 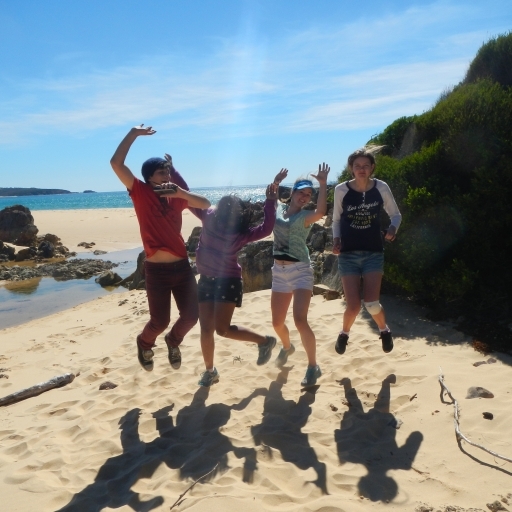 Bournda EEC has finalised the Australian Association for Environmental Education, NSW Chapter Leadership for Sustainability Program and recently completed our Birds of a Feather project with other Sapphire Coast Regional Science Hub members. The Science Hub also acts as a Regional Sustainability Educators Network (RSEN), collaborating on a wide range of projects and is working on a strategic plan for 2019. Thank you to Erika Van Schellebeck, the AAEE Coordinator for helping us with the project. Erika secured extra time and resources to help us get the project finished after we were delayed because of the Tathra fire. 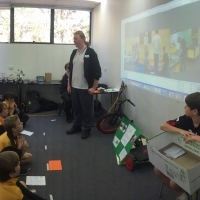 BIG THANK YOU to Pambula Public School and Tathra Public School teachers and students for your interest and enthusiasm. The project was funded by Bournda Environmental Education Centre and the NSW Government Environmental Trust through the AAEE project. Today at Bournda EEC’s “Science in the Lab” Creative and Talented workshop, students from Merimbula PS, Wolumla PS and Eden PS took the lab outdoors! 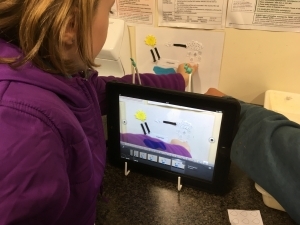 Using the 360 degree camera from the NSW Department of Education STEMShare Primary Virtual Reality kit, the students created some images which can be viewed using VR goggles. They also had a go at the secondary VR kit AND still had time to do some fun experiments in the lab. A great day thanks to the students’ positive behaviour and thinking skills! 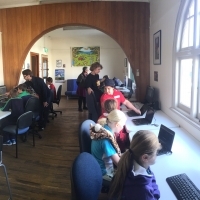 Thanks also to teacher Luke Brown and Bournda EEC resident tech-whizz Phil Lord who helped us work it all out. Thanks also to the STEMShare program – we love it!! Click on the Poly symbol to see the full images. For best results, open in Google Chrome. Image display may take a little time. 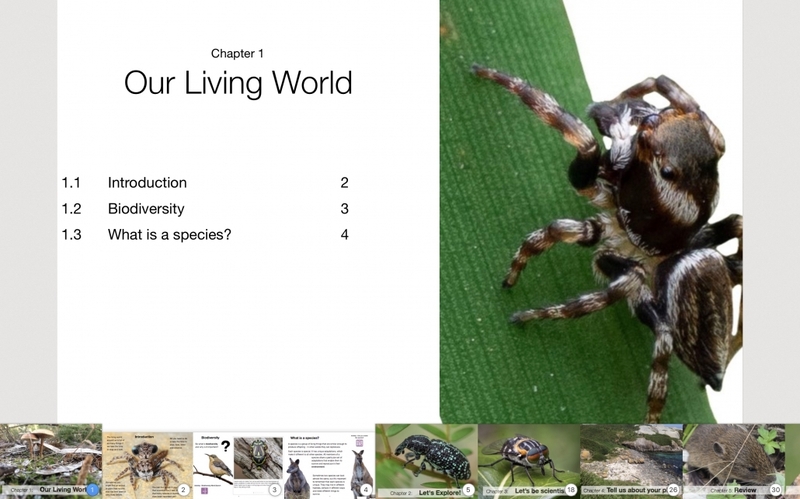 This Multi-Touch Book has been created by Jules Donne, Bournda EEC in collaboration with Amy Harris, South Coast Shorebird Recovery Program, National Parks and Wildlife Service. 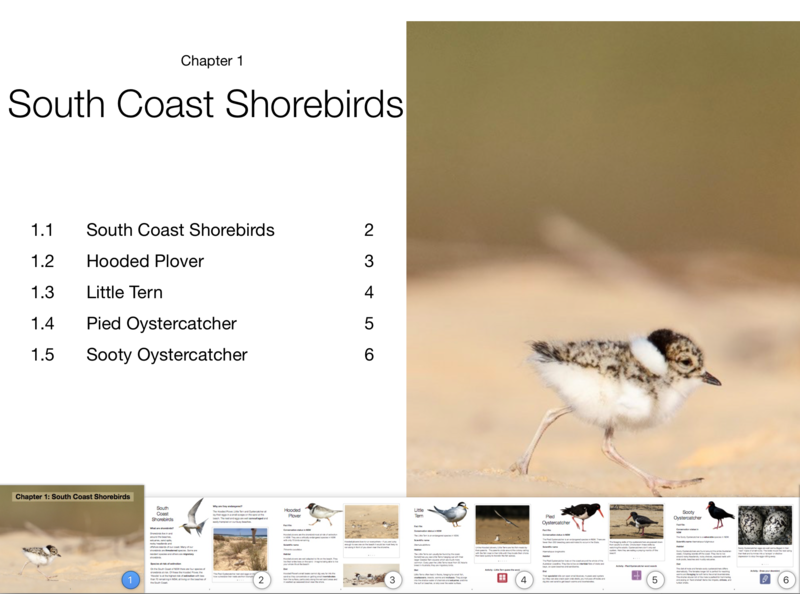 This iBook has been produced to highlight the incredible life cycle of threatened shorebirds that nest on our local Far South Coast beaches. Their conservation is helped by the many local volunteers who give up their time to assist the NPWS Threatened Shorebird Recovery Program. The production of this iBook was possible through support and grant funding from South East Local Lands Services and educational support from Bournda Environmental Eduction Centre. 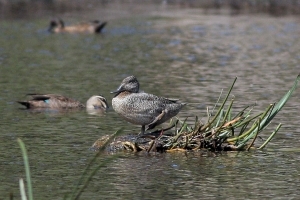 The NPWS Shorebird Recovery Program receives support and funding from the Saving Our Species program. We acknowledge the Aboriginal Peoples as the traditional owners and custodians of the land and waters we write about. We pay our respects to their traditions, customs, sacred landmarks, stories, legends and their Elders past, present and future. 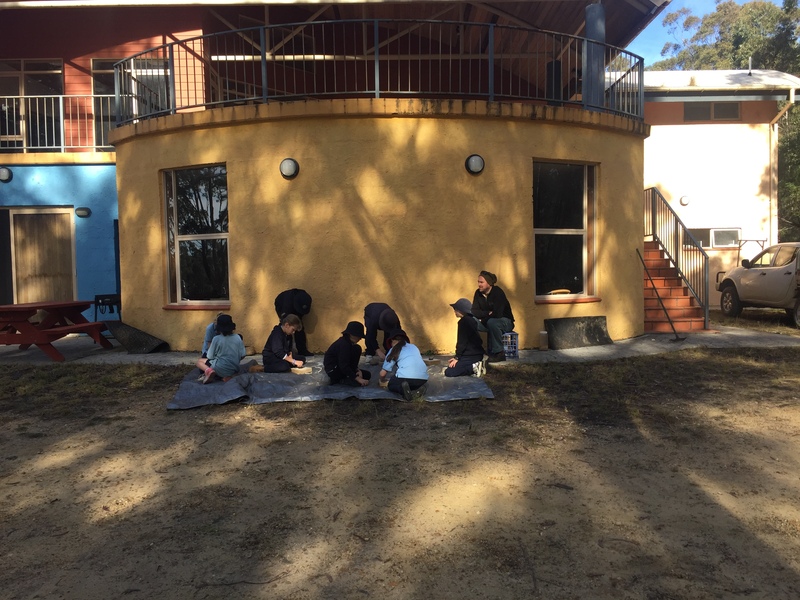 Last week Bournda EEC staff assisted Tathra Public School staff and students with another stage of the Birds of a Feather project. 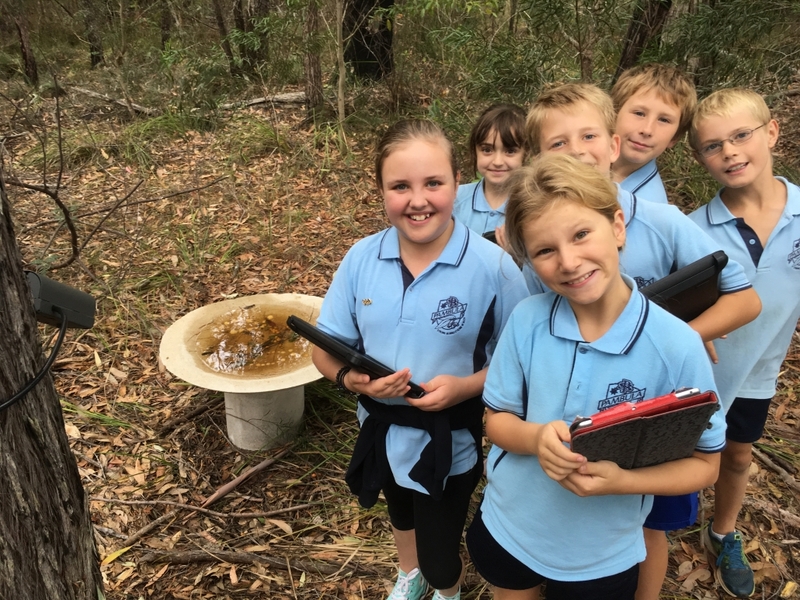 The students used a motion sensing camera and bird bath to check out what birds are visiting the school; they have also uploaded their sightings to The Atlas of Life using NatureMapr software. They decided that providing extra food and shelter would encourage more birds around the bird bath installation. 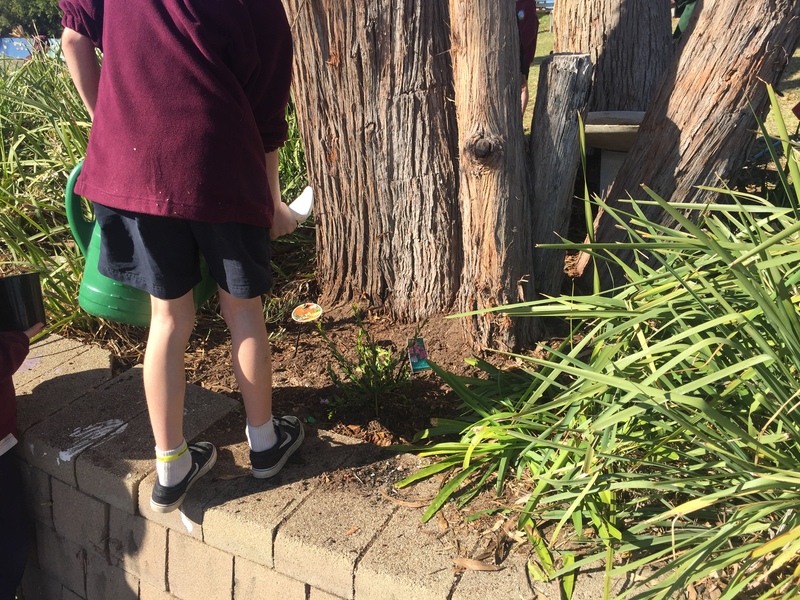 So the day before Schools’ National Tree Day we were already into it! And then there was the discovery of a historical connection. Mr Reckord was Mrs Guess’ science teacher when she was in Year 7! That made Mr Reckord feel quite historical. 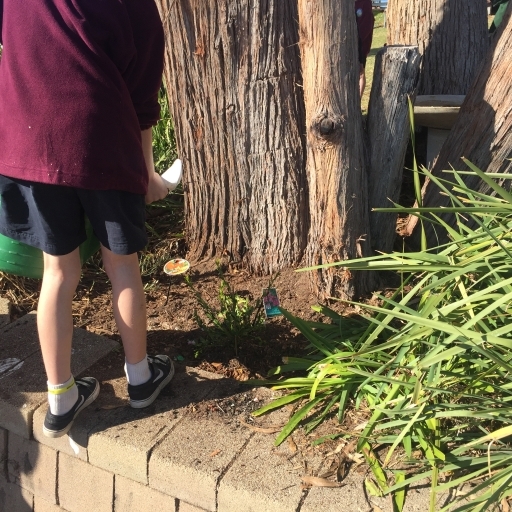 Thank you to Tathra PS for their support of the program and thank you to Mr Stewart for helping prepare the Tim Watson Memorial for the extra plants. 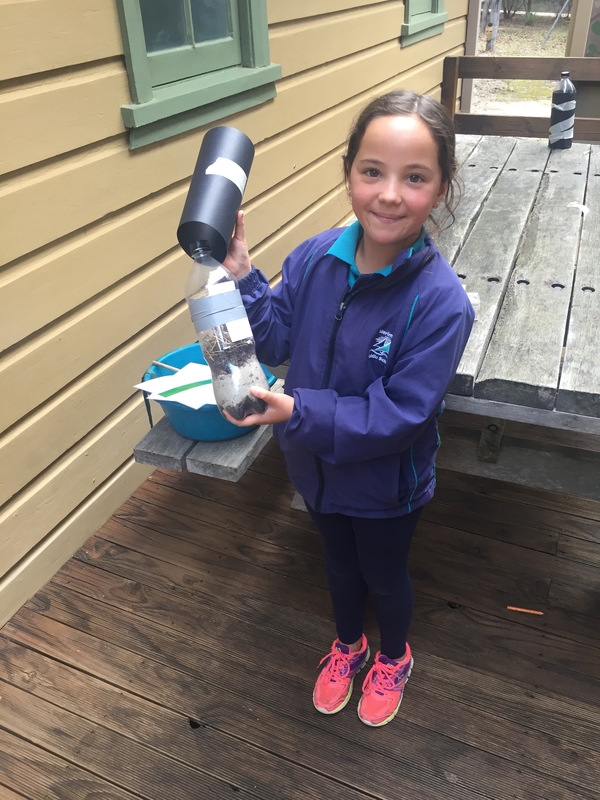 The Birds of a Feather project was supported by the Australian Association for Environmental Education through an Environmental Trust grant. Eden Marine High School’s Future Leaders Environment Award Winner! This year’s winner is Morgan Chapple of Eden Marine High School. With the support of Careers Adviser Michelle Bond, Morgan provided an excellent submission which linked her career aspirations in the Navy with her interest in the environment. 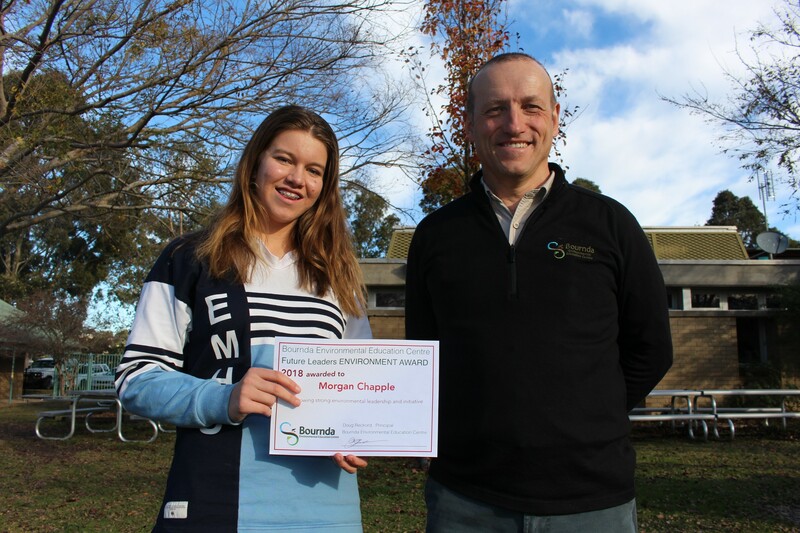 Morgan receives a $1000 prize from Future Leaders which will help her achieve her goals! 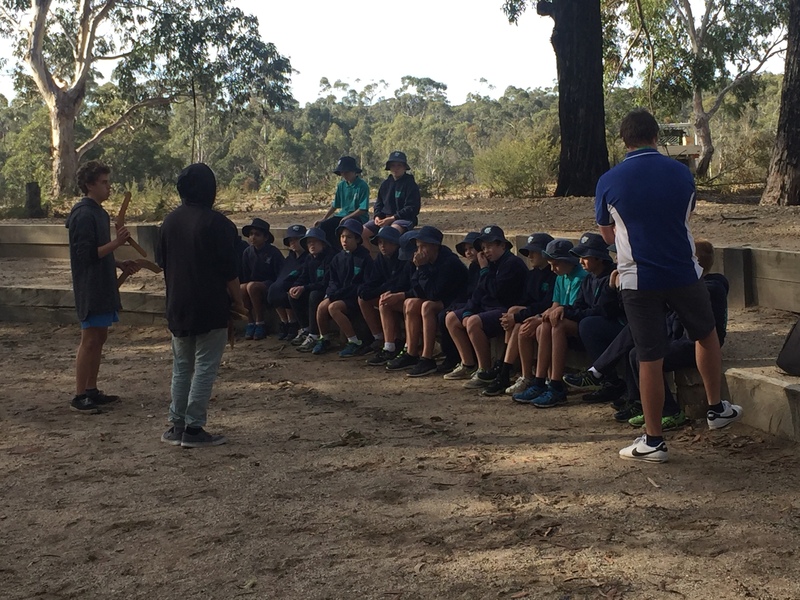 Last week local schools had a wonderful opportunity to celebrate NAIDOC with the Eden Aboriginal Community at Jigamy Farm! Over 430 students attended over 3 days and teacher and students loved the activities. 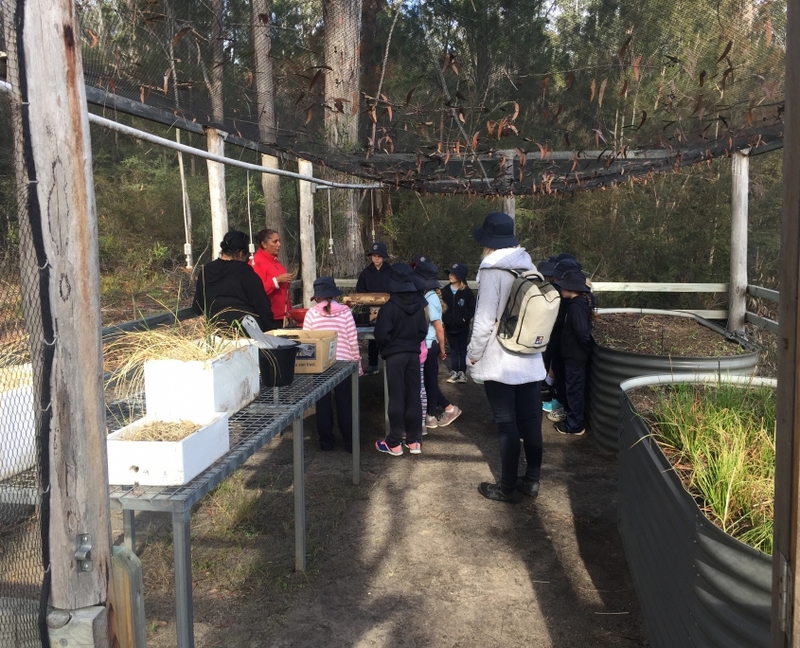 The students were able to connect with the NAIDOC theme while eating johnny cakes, learning about yams, seed grinding and looking at the displays inside the centre. Thank you to Monaroo- Bobberer-Gudu Culture Centre at Jigamy for hosting this wonderful event for the 9th year running! Thanks also to National Parks and Wildlife Service for their support. 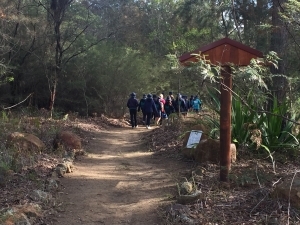 On the bush tucker trail at Jigamy. Waste Warriors Work When Weather’s Wet! 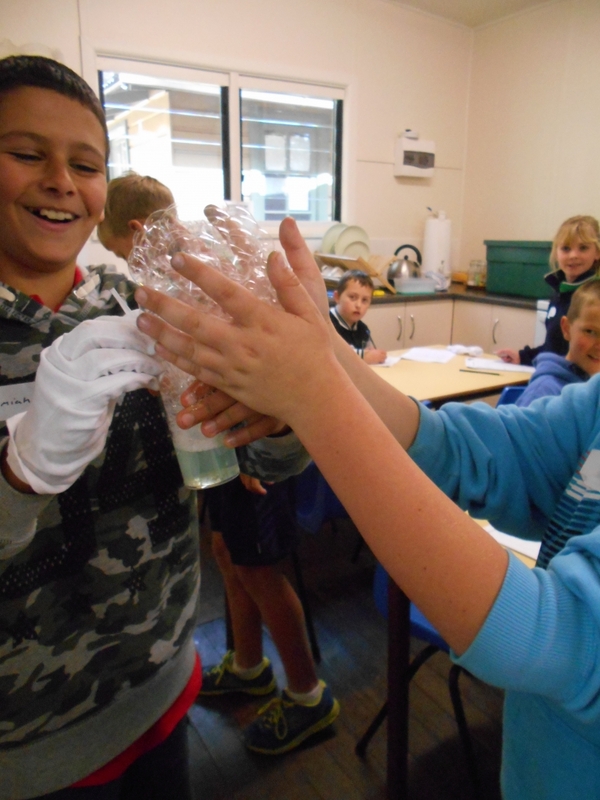 Tomorrow our second Stage 2, Waste Warriors program is ON! The weather looks a bit foul but the fun thing about making worm farms and bees wax wrap is that you can keep dry while you are doing it! We will get outside when we can but it will be definitely on tomorrow. See you out there to do practical things to beat the waste problem! One of our wonderful Waste Warriors from last week! Bournda Expedition – Stage 3 -It’s on today! It will be windy but our part of the coast is not affected by the severe weather warning. So we’ll look forward to seeing our Bournda explorers today!! 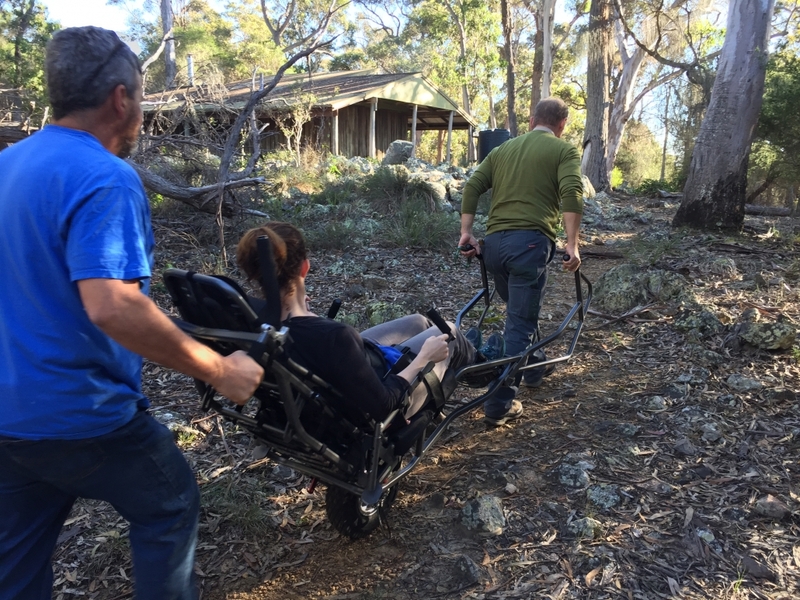 Kony and his Tulgeen carer Paul, came out to Bournda National Park to take the Bournda EEC TrailRider All Terrain Wheelchair for a spin! From the smiles on Kony’s face, and the positive feedback from his carer and family, it’s clear he enjoyed the experience. He’s going to come back for a weekly visit and he can explore a different spot each time. 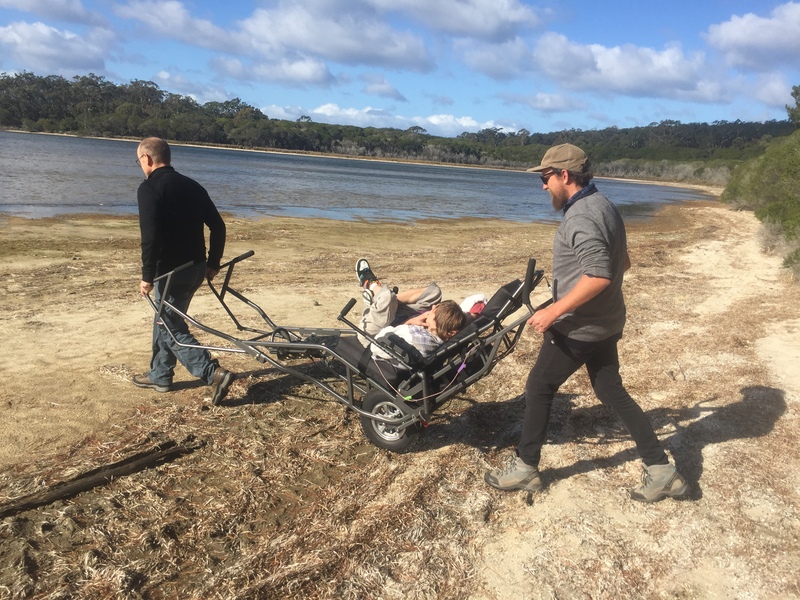 The Bournda EEC TrailRider was purchased in 2017, with support from the Department of Education, Tulgeen Disability and Tarra Motors, and enables inclusive experiences in the outdoors for people that need mobility assistance. For further information, see the Bournda EEC Mobility Assistance page. 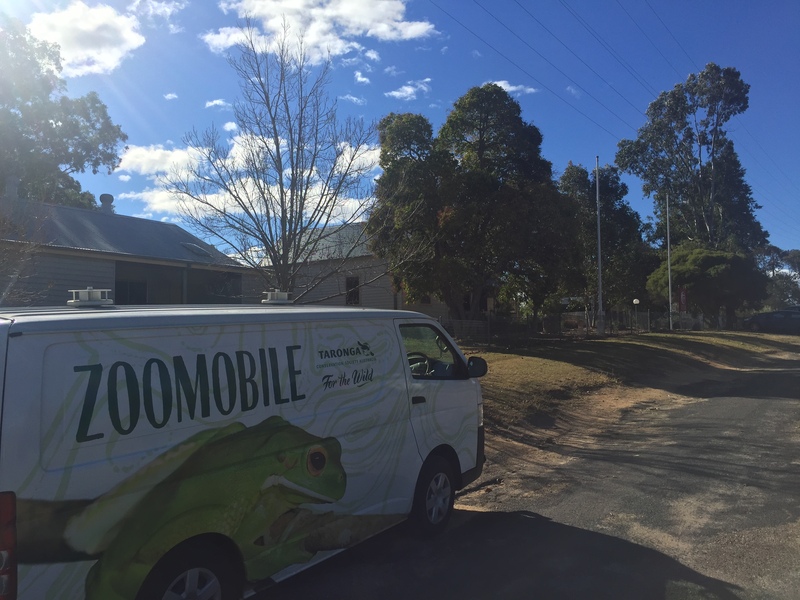 The Bournda Taronga Zoomobile Tour has finished for another year! 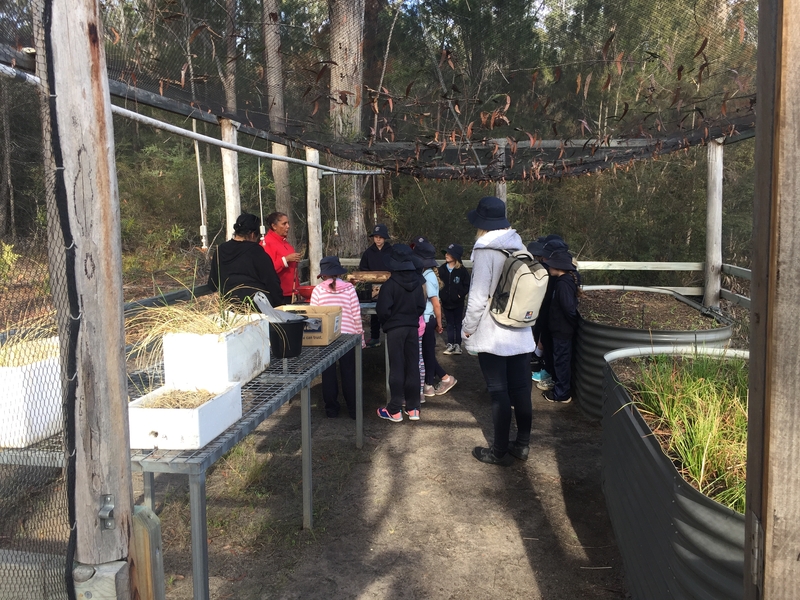 Since 2004 we have had an annual visit in the Bega Valley and the local schools love the opportunity for a close-up look at some of the Zoo guests. 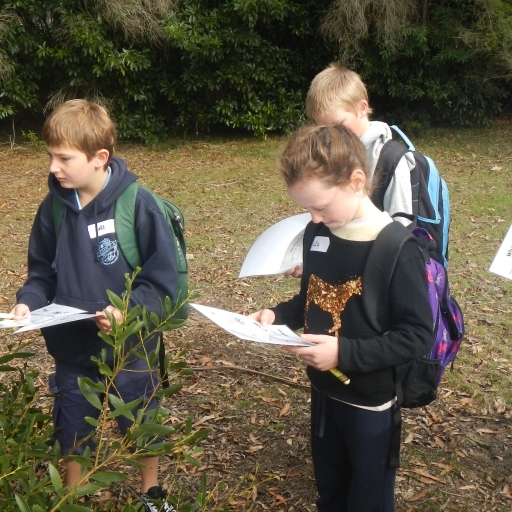 Bournda EEC ran a School Biodiversity activity as our contribution to the tour. Students looked at the Atlas of Life, NatureMapr and the Atlas of Living Australia while learning how people of all ages can be “citizen scientists” in our community. 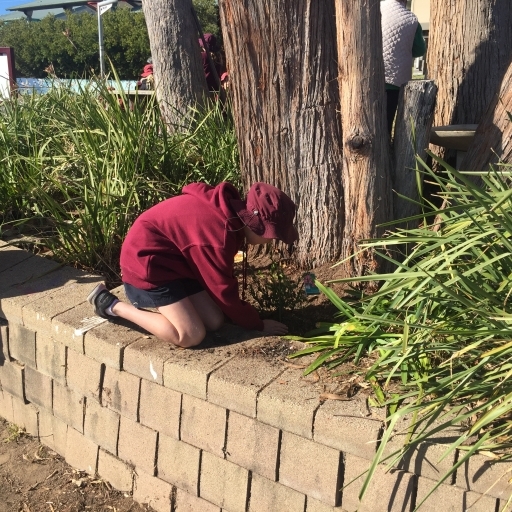 Students looked at the biodiversity around their school grounds, examining water bugs and terrestrial macroinvertebrates. The Atlas of Life kindly loaned us their Microeye Digital Microscope and the students enjoyed a close-up view of the specimens they collected. 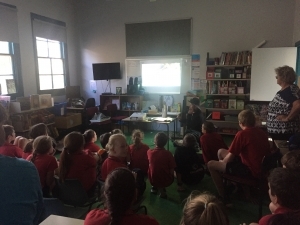 Thank you Bemboka PS, Wolumla PS, Tanja PS, Quaama PS, Candelo PS, Towamba PS, Central Tilba PS and Bega Valley PS – your students were enthusiastic participants and asked lots of great questions. Many thanks to Dom Arndt from Taronga for the expert presentations. We really enjoyed your visit! 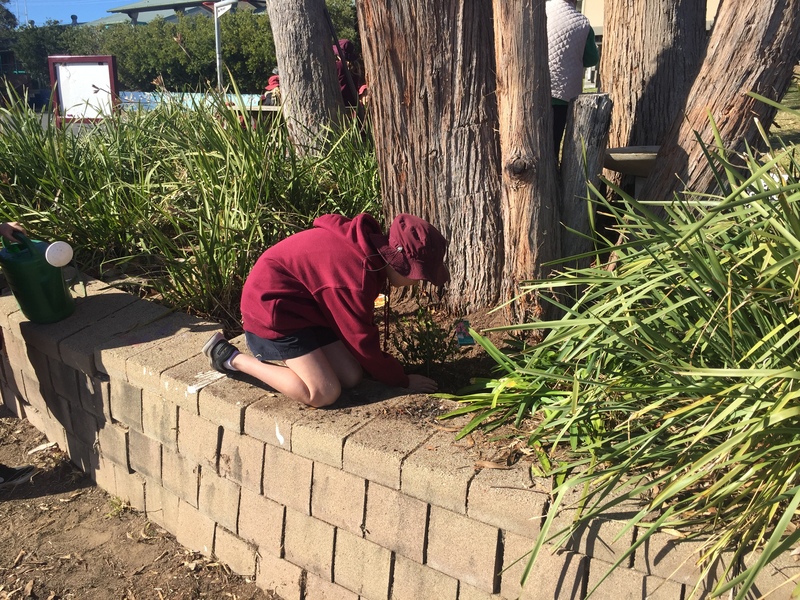 In 2018, 80 Eco Schools grants of $3,500 each will be offered for student focused environmental management projects, including water and energy conservation, recycling, bush regeneration, habitat improvement and food gardens. Applications close 3pm, Monday 18 June 2018. Schools can also find a range of other success stories, tips and resources on the website. Contact the Trust on (02) 8837 6093 or info@environmentaltrust.nsw.gov.au for further information. At 4:28am this morning, the Severe Weather Warning was reissued so unfortunately we will have to postpone the Stage 3 Bournda Expedition scheduled for today (Friday 11th May, 2018). We will contact the organising teachers at Bega Valley PS, Pambula PS, Eden PS and Quaama PS to find an alternative date. Take care and hopefully it won’t get too nasty! Issued at 9:14pm tonight, this Severe Weather Warning unfortunately means that we will probably have to postpone the Stage 3 Bournda Expedition scheduled for tomorrow (Friday 11th May, 2018). 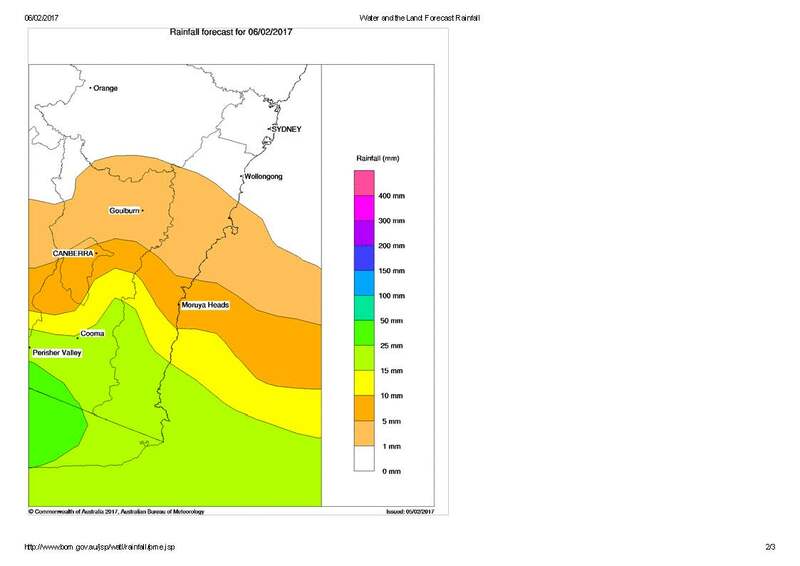 We’ll post an update at about 5:30am and if the Severe Weather Warning is still in place, we will contact the organising teachers at Bega Valley PS, Pambula PS, Eden PS and Quaama PS to find an alternative date. 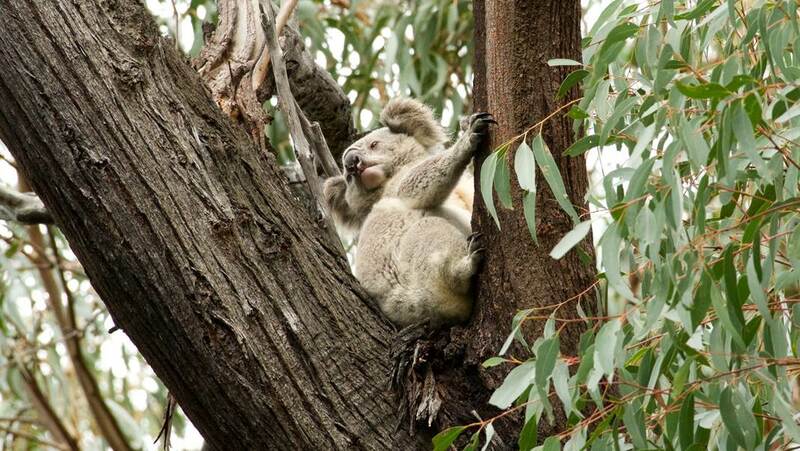 Sorry kids, but falling branches and trees can be a real risk in the bush when you have winds over 60 km/hr!! This year’s Education Week in August will focus on how NSW public schools are equipping young people with the skills and capabilities they need to thrive in a rapidly changing, globalised world under the theme, Today’s schools – creating tomorrow’s world. As part of this week-long celebration of public education, the department will this year also launch an exciting innovation – the inaugural Game Changer Challenge. The Game Changer Challenge embraces the education week theme by asking students and teachers to work together and co-design the school of the future. 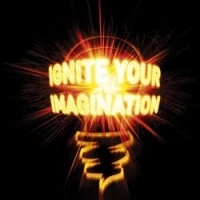 From excursions to the moon and teleporting between classes to schools without walls or bell times – you are only limited by your imagination. 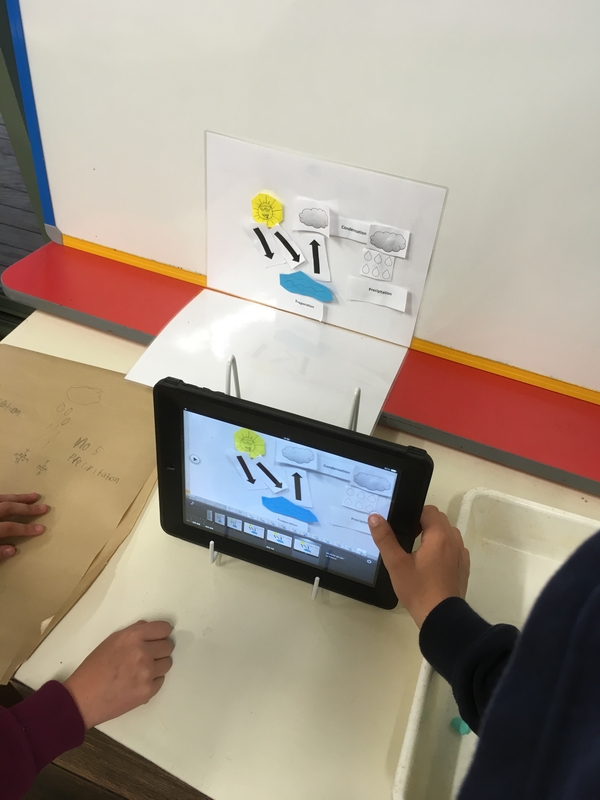 Based on a 60-second video application, 16 teams from public schools across NSW will be selected to take part in a three-day, intensive design-thinking workshop in Sydney. The workshop includes teacher training in the use of design thinking as a teaching methodology and its application for school planning as well as a team competition to prototype the school of the future that will end with a Shark Tank-style pitch to industry experts, including Mark Scott. We are asking our school leaders to embrace this exciting opportunity by encouraging your school to take part in this ground-breaking initiative. 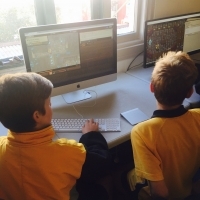 Full details of the competition can be found at https://education.nsw.gov.au/public-schools/going-to-a-public-school/education-week. 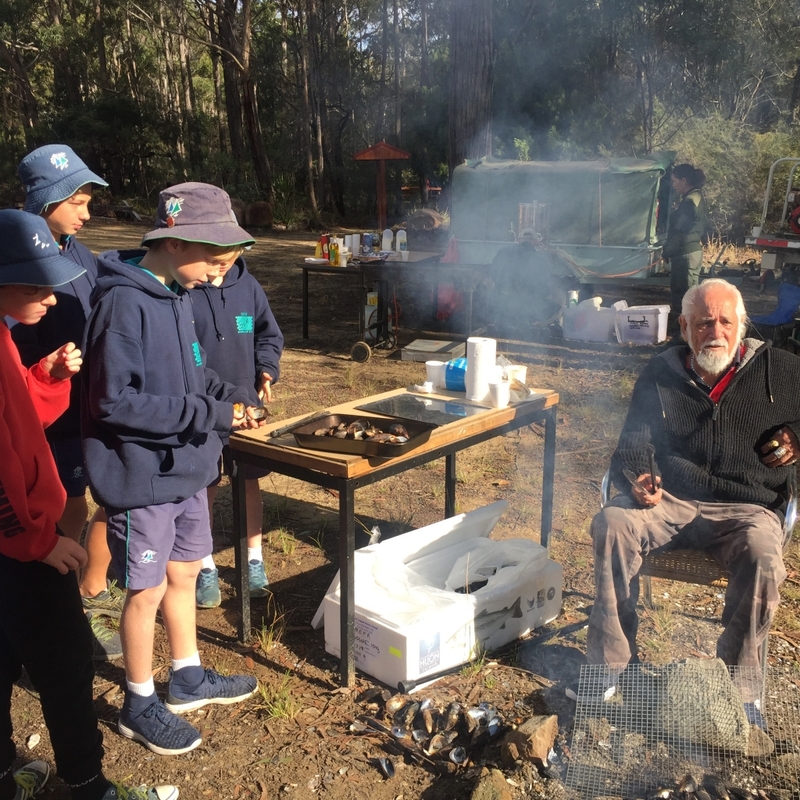 Bournda Environmental Education Centre has been hosting an annual dinner to celebrate World Environment Day for the last 41 years! Our guest sp eaker for 2018 is Dr Helen Smith. 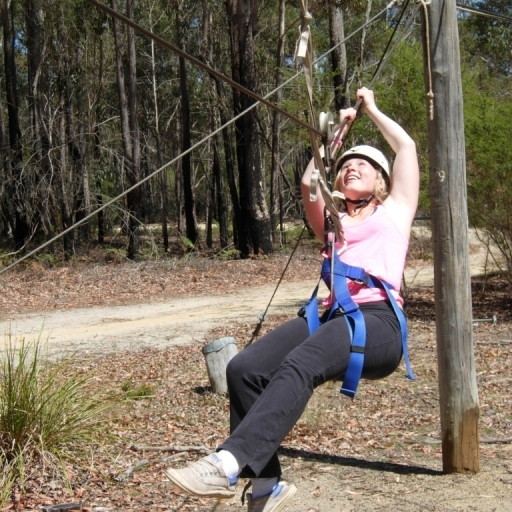 Helen is a passionate outdoor enthusiast and will give us her personal and research-based perspectives on making outdoor experiences more accessible and inclusive, so that more Australians can enjoy a special connection with nature. The EZEC team has been working to improve sustainability resources for teachers and have updated and expanded the Department of Education’s sustainability web pages. More resources will be added as they are created. For each sustainability topic there is the sustainability action process resource. Each of these has links to resources to support teaching and learning in the steps of the process. 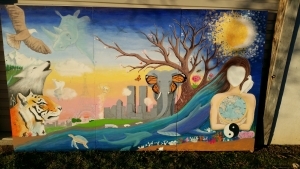 The Further information page has links to external resource portals, including the new Sustainable Schools NSW website. Most of the geography teaching and learning frameworks have sustainability outcomes embedded in them. 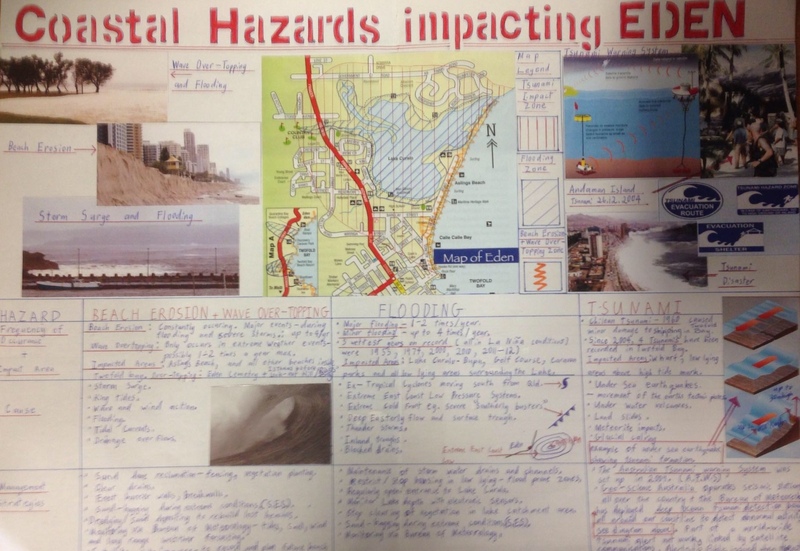 It’s always nice to see student work on display in schools, particularly when you had something to do with it! 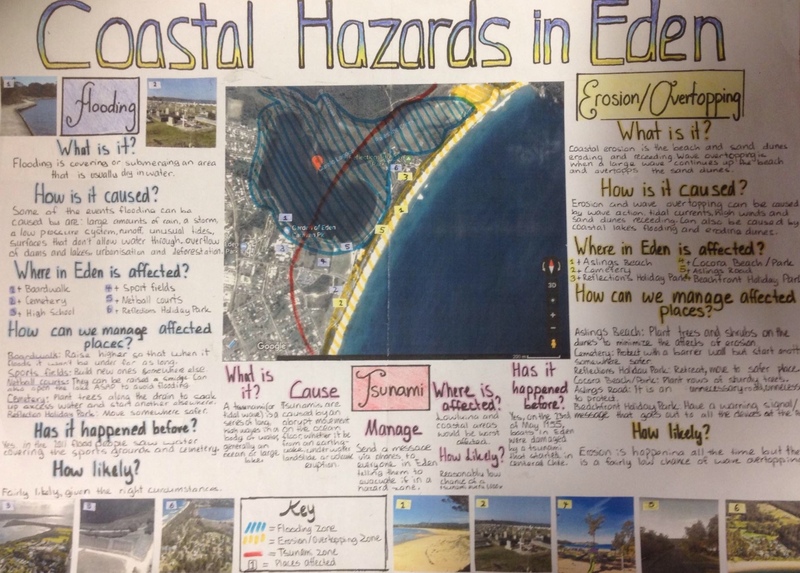 Earlier in the term, Bournda EEC staff worked with Eden Marine High School Year 7 students on coastal hazards, with support from Kyran Crane (Coastal Management Officer) from Bega Valley Shire Council. So it was nice to see these on display in Mr Barros’ classroom. Thanks to Luke Brown for the pics. Five interesting facts about Eucalypts! The Good on You site and app was mentioned in a story in the a recent ABC Science newsletter. You might want to check it out to help make consumer decisions that help the planet! 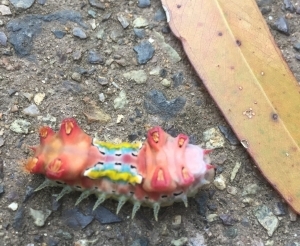 What an amazing little creature! 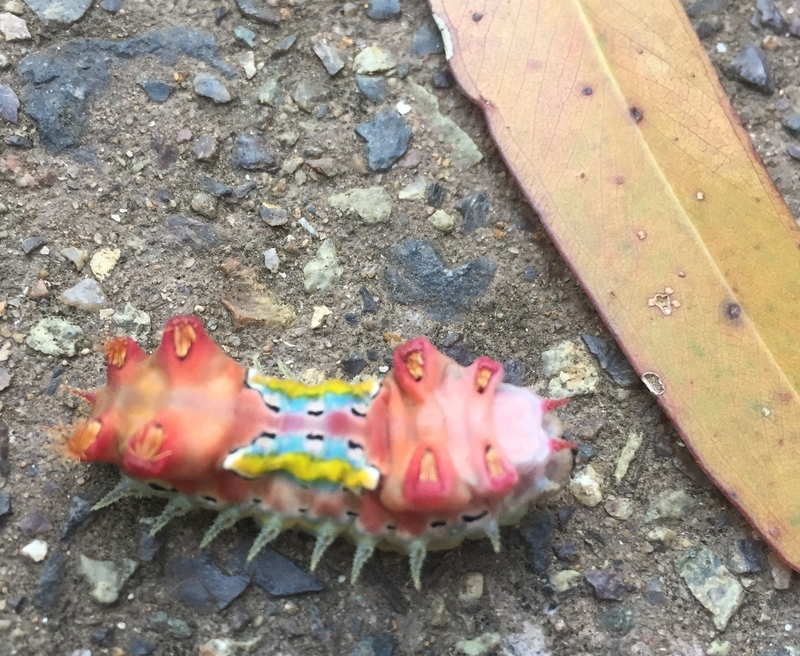 A cup moth larva on the path at Bournda that looks like it should hang out on the Great Barrier Reef – what glorious colours! The wonders of life are all around us. Bournda EEC teacher Julie Donne has been working with some very enthusiastic Stage 2 students at Pambula Public School on the Birds of a Feather project. 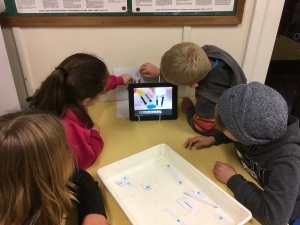 A collaboration between Sapphire Coast Regional Science Hub members, the project is supported by the Australian Association for Environmental Education. There will be a full report soon, which will include the fascinating tale of a thirsty Labrador and a thong! 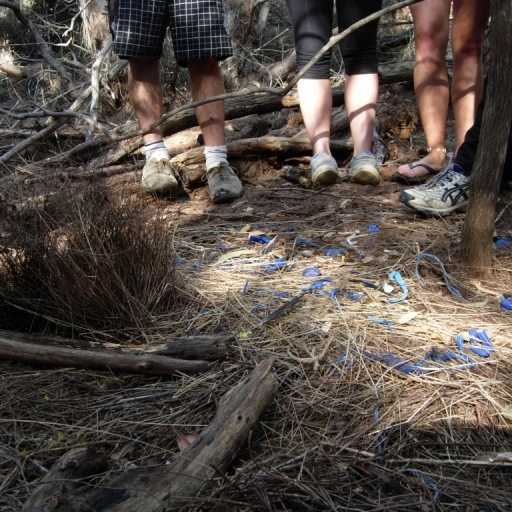 The students have entered the data captured with the camera trap onto the NatureMapr website. As the fire situation in Tathra is close by, and still active, the Centre will not be operational Monday (19th March) and Tuesday (20th March). Several of our staff live in areas affected by the fire but everyone is safe which is great news. Later today a fire did start near our Centre and it was put out through the skilled work of NPWS staff, with support from air-crew. Power lines brought down by the strong winds are the likely cause and the power was still out at around 9pm tonight. The fire is now extinguished but there will be likely to be some further operations around the fire ground tomorrow. Thank you to Grant, Bobby, Terry, Bruce, Johan and Ross from NPWS for your work and to any other emergency services workers who contributed to the operation. We are all very saddened by the events of today and thinking of all those who have been hit hard by the fire. Harrison’s photography hints are a hit! What a great student and what a great photograph! Thanks Jen for letting us use this lovely image on our website! 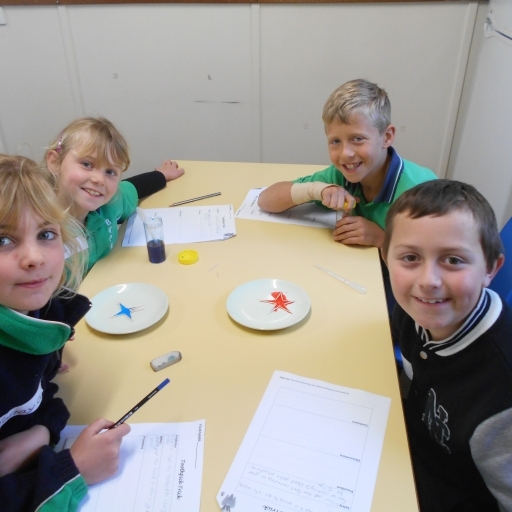 Science Engagement Event Number 4 – Book Now! 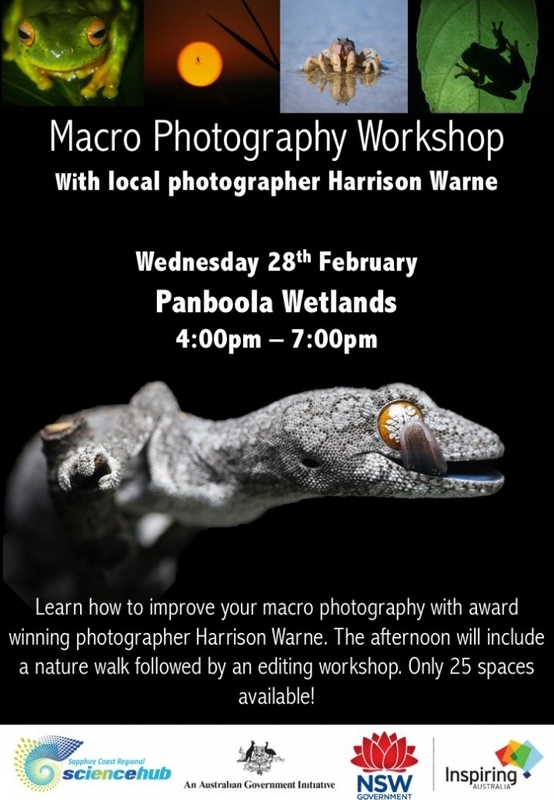 This is a fantastic opportunity to work with a young scientist who really knows how to capture a great photo! One of our most loved tourist roads needs a clean up and Clean Up Australia Day is just around the corner. Come and help Bournda EEC and National Parks and Wildlife Service staff collect roadside litter and stop it from spoiling our beautiful National Parks, nature reserves, waterways and beaches. This toolkit provides examples of Schools Clean Up day activities for classroom teaching and learning programs. Content details – For further information, contact the 2018 Youth Officer, Mr James Griffiths, on telephone 02 8197 3422 or email youth@cleanup.com.au. 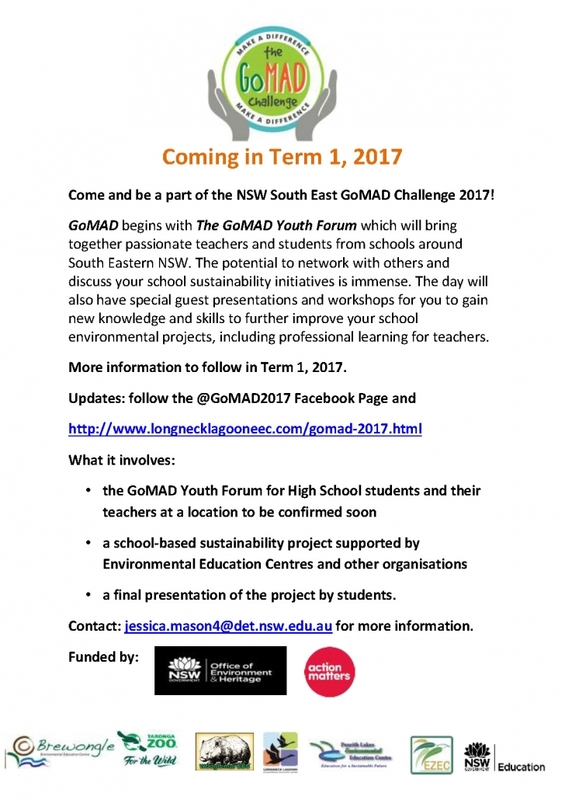 Remember the Bega High School students who have taken up the challenge of cutting coffee cup waste? 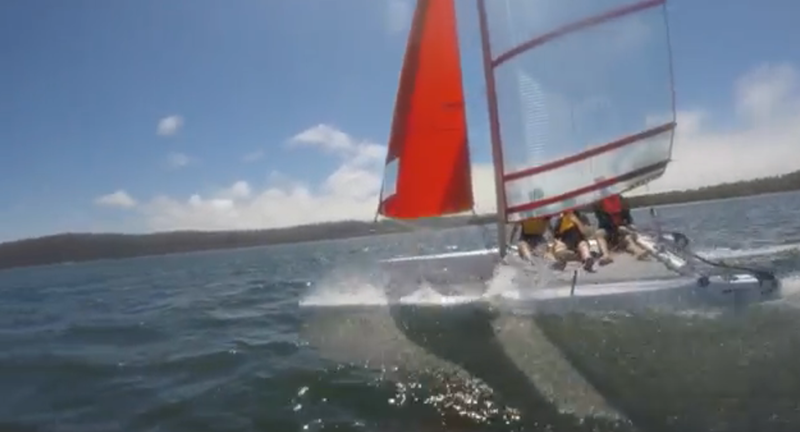 Check out the rest of the wonderful videos made by students from high schools in the Bega Valley and Eurobodalla and in other parts of NSW. 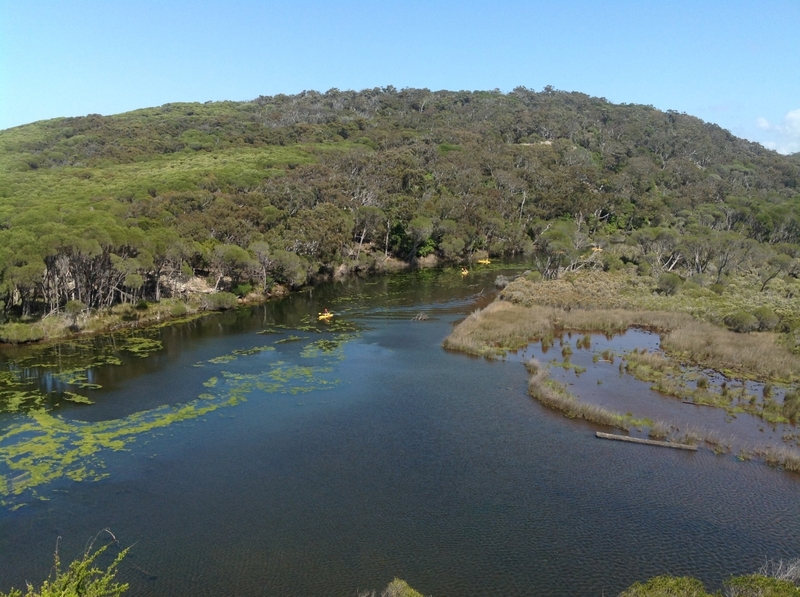 We went to one of the South Coast’s most iconic beauty spots (Bournda Lagoon in Bournda National Park) and kayaked to a seldom visited location on the western shoreline. In JUST TWO MINUTES the GoMAD (Go Make a Difference) camp participants picked up enough waste to fill a large bag. Unfortunately the haul even included a syringe – YUK! Clearly this is just not good enough and students took a short time out from having fun to just be MAD about it. 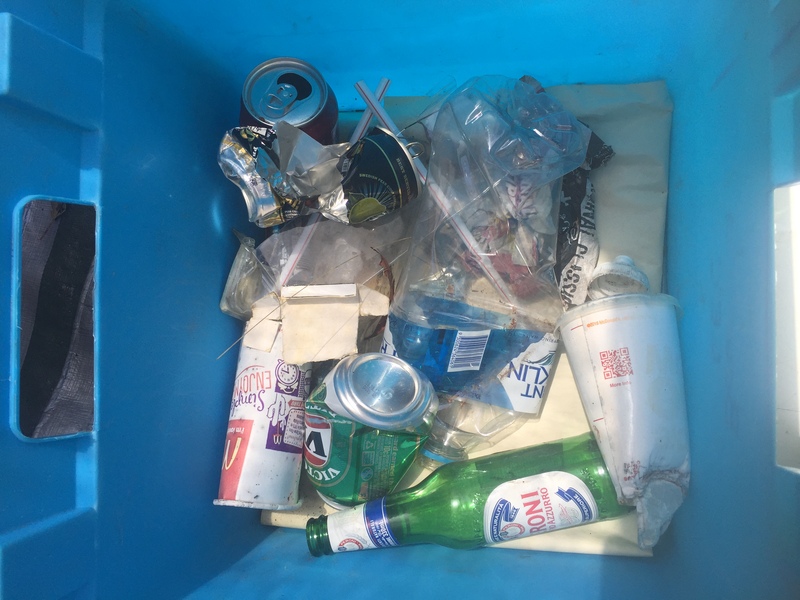 The students discussed approaches like “Take Three for the Sea” and other ways people can take positive action to reduce litter in the environment. 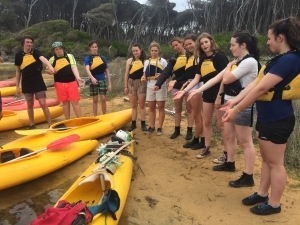 The GoMAD camp involves teachers and student leaders, from Bega, Narooma, Moruya and Batemans Bay High Schools, who have come together to share their GoMAD experiences. PEER SUPPORT CAMP A BIG HIT! 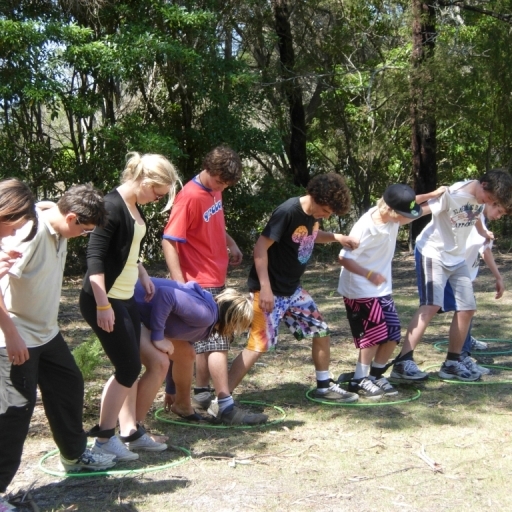 Last week students from local small schools made Bournda National Park their base for the annual Peer Support Camp. 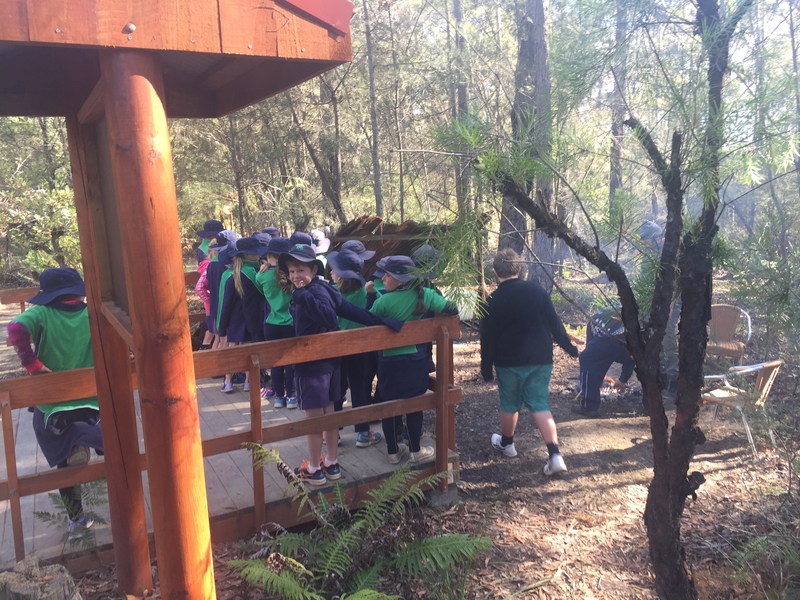 The camp has been run every year since 1990 and provides the Year 6 students with a great opportunity to celebrate the end of primary school. 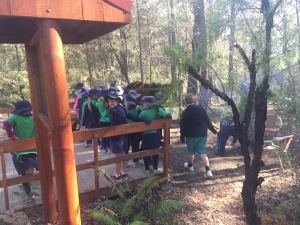 The camp was organised by Tanja PS Principal Lee-Ann Thompson, with support from Bournda EEC and Bega High School, with catering provided by Tanja PS P&C. Students and staff from Tanja, Bemboka, Wolumla, Candelo and Wyndham Public Schools attended. 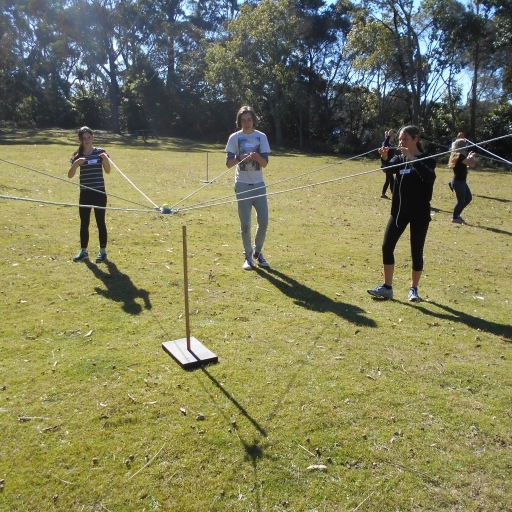 The camp is just one of many transition activities supported by Bega High and Mark Freedman, Head Teacher- Student Welfare, put together a crack team of Year 9 mentors to support the students and to help them think about their start to life at high school. Activities included kayaking, bushcraft survival, bike riding, raft building, surfboat (on the lake), challenge games, Indigenous activities and a beach carnival. 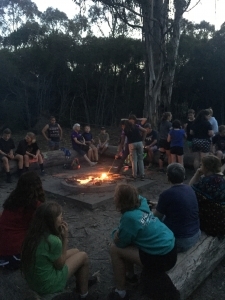 Night-time nature walks and prawning were very popular with the students. Students also came up with their own entertainment with some talented shadow puppets on display at night. 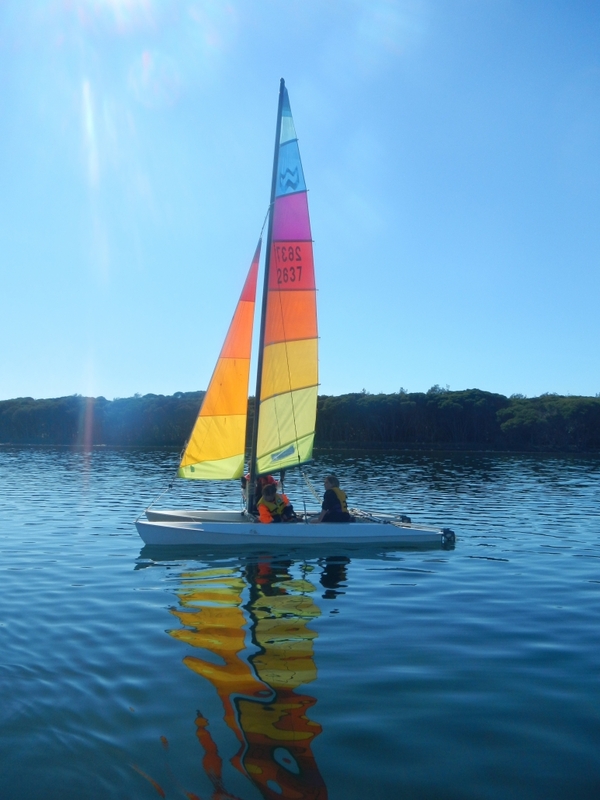 The students loved the opportunity to go sailing with volunteers from the Wallagoot Lake Boat Club and everyone is very grateful to the sailors for their generous contribution to a great camp! GoMAD – Go Make a Difference Camp – let’s do it!! 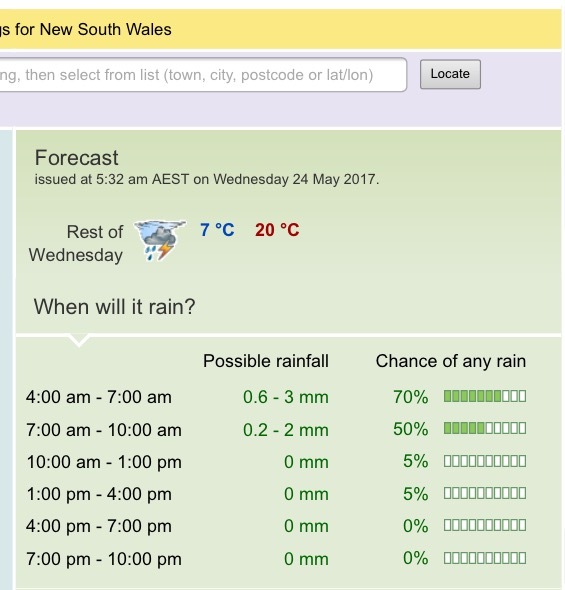 The weather forecast is not great for Monday and Tuesday but our Waste Warriors will not let moisture dampen their determination to fight the good fight in the War on Waste! 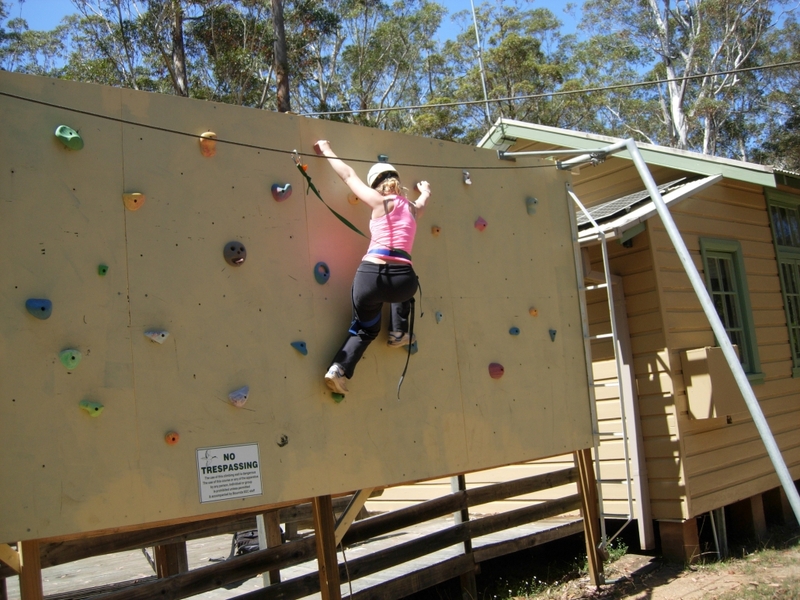 Our camp will proceed and the students and teachers from four participating high schools from the Bega Valley and Eurobodalla will make a difference! 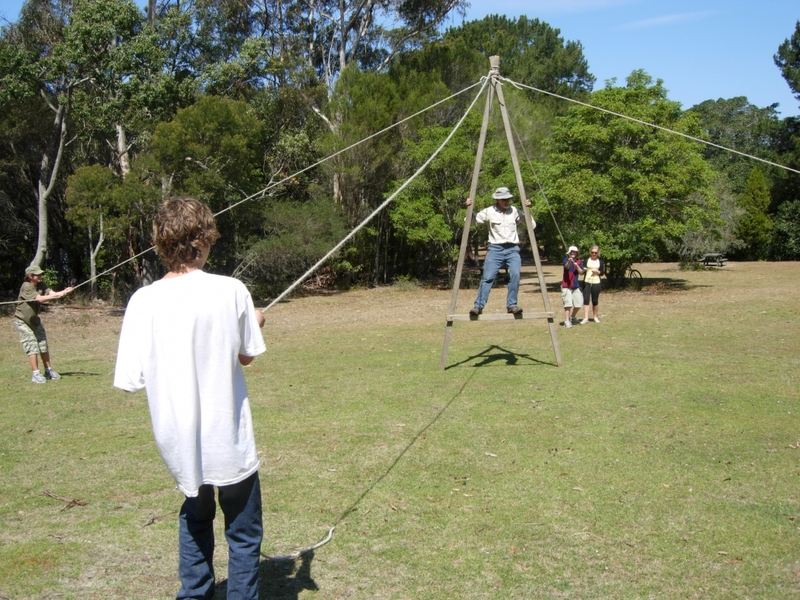 The GoMAD camp is part of the NSW Office of Environment and Heritage and NSW Environmental and Zoo Education Centres’ GoMAD program. 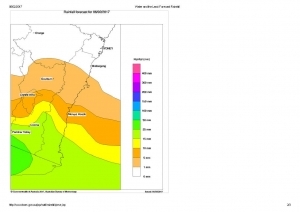 The forecast is for “showers possible” and the rainfall maps show a break in the weather for the camp! See you there! 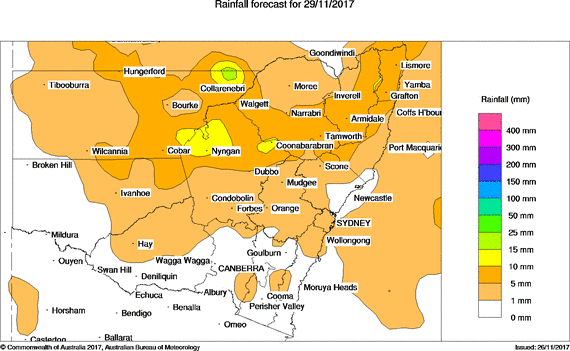 Unfortunately we are cancelling today’s Bega High School Year 10 program due to the forecast rain, with the chance of heavy rain and thunderstorms. 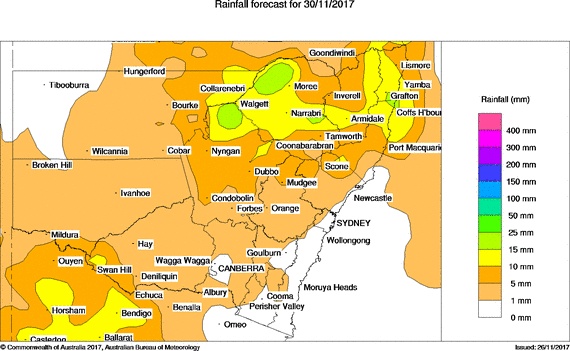 It is always disappointing to cancel but everyone wants more rain so we’ll be happy about that. 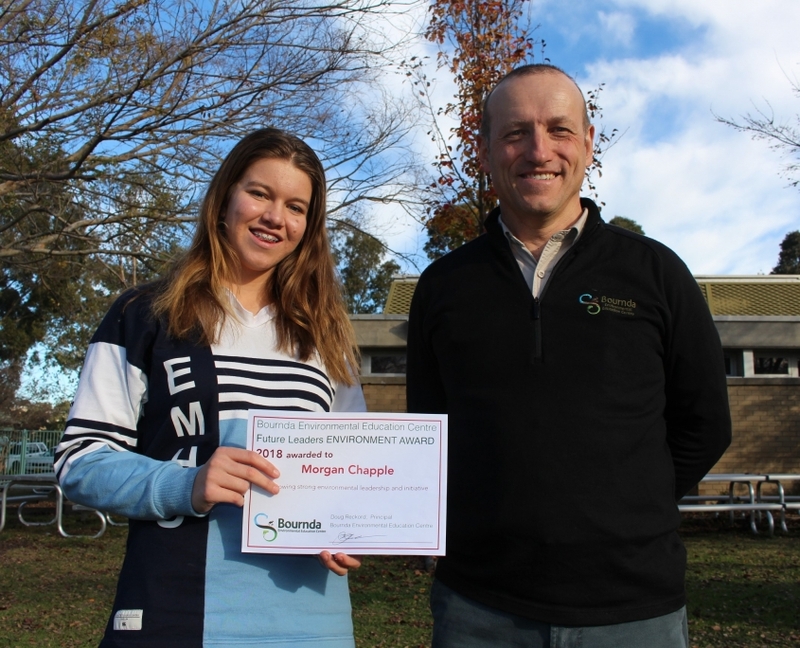 Bournda EEC would like to thank Mrs Morgan and the Bega High School staff for their support of the program. The students have been outstanding but today they won’t be out standing in the rain! About this time last year, local botanist Jackie Miles alerted us to the presence of the weed Coreopsis lanceolata on Sapphire Coast Drive. We pulled out a clump this morning so keep on the alert for any popping up in your area. After the recent rain they are quite easy to pull out. Go MAD Bega High School! A wonderful example of how students and teachers are taking the lead in the “War on Waste”. 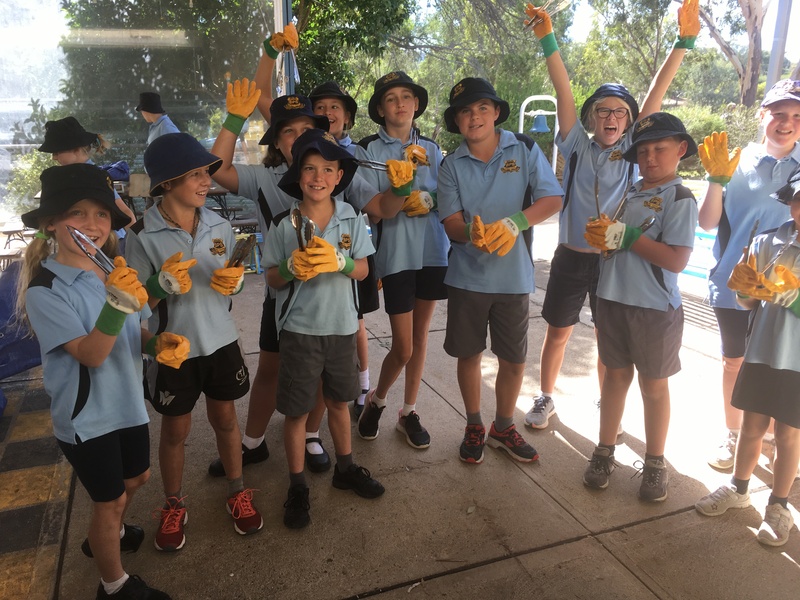 Julie Donne, the Bournda EEC Canberra Region Joint Organisations (CBRJO) Waste Education Project Officer, has been working with Bega High School on a GoMAD project (Go Make a Difference) and they have really have taken their campaign to the streets. 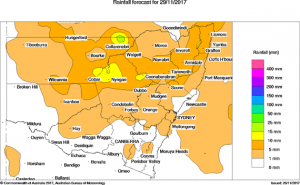 Check out this update in the Bega District News! 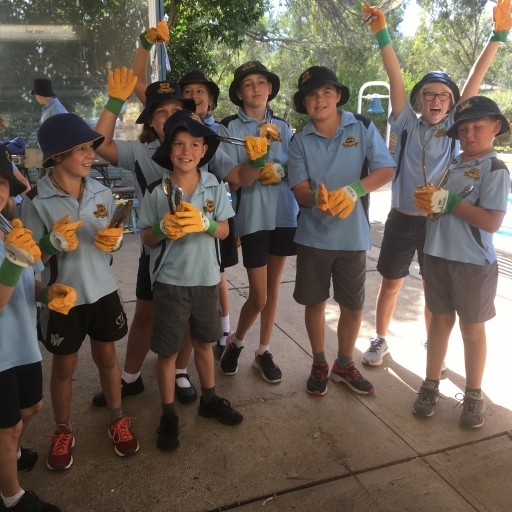 The CBRJO Waste Education program provides great resources to help Councils work with schools and the Bega Valley Shire Council waste team has been working closely with Jules and also developing their own programs. 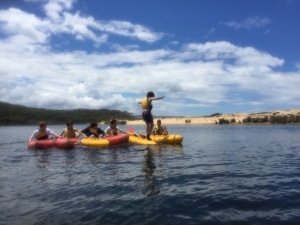 Our mission: To get Jake from Tathra to Wallagoot Lake as part of the Bega High School Crossroads program. 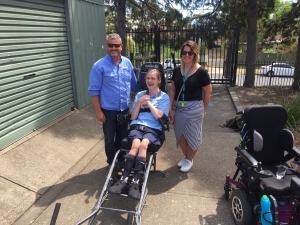 Our equipment: the TrailRider which Bournda EEC purchased with support from the Department of Education, Tulgeen Disability Services and Tarra Motors. Our test “pilot”: Right from the word go Jake was enthusiastic about the TrailRider. His positive attitude really set the tone for the day. Have a listen to what he has to say! Talk about “The Right Stuff”. We had a pretty special day. 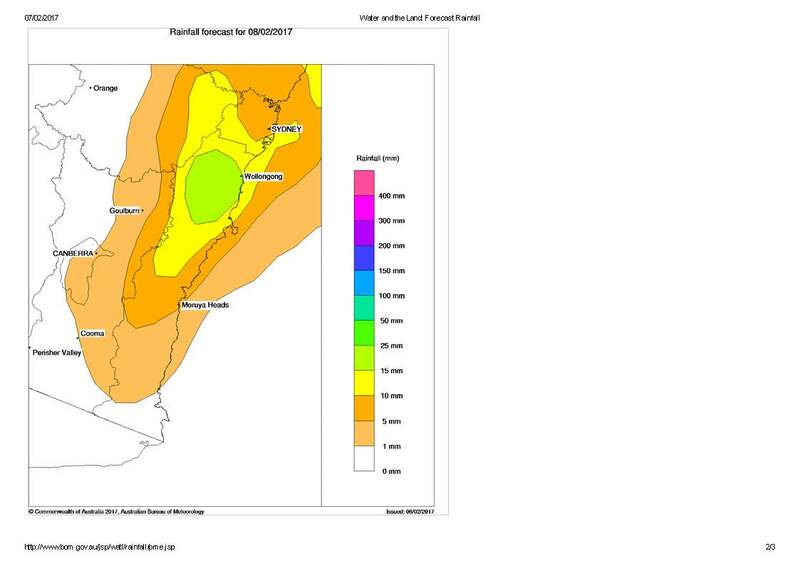 The low pressure system has moved out to sea, so all systems go for the Narooma PS visit! It will be cold so rug up against the Sou’westerly wind. 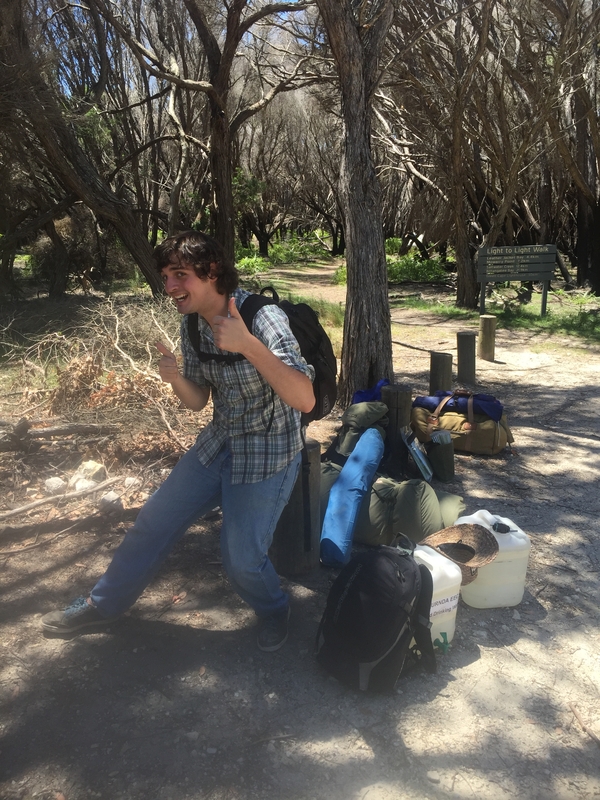 Looking forward to seeing keen National Park explorers here at Bournda! Forecast looks ok with rain later. 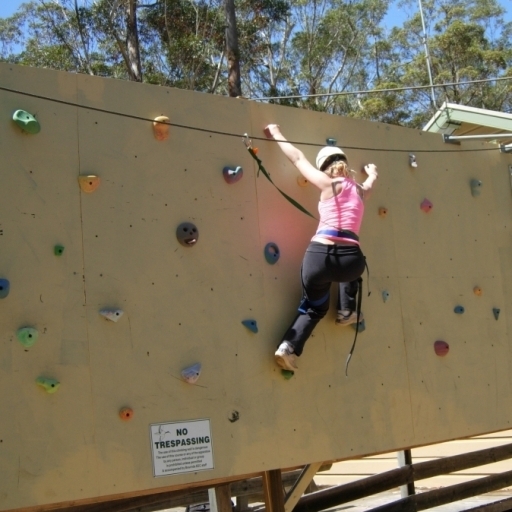 We’ll look forward to seeing the Tathra Stage 2 students for a great day in the Park! We went to get some wood from the wood shed and this little diamond python didn’t seem too impressed at being disturbed. Jake is a Year 10 student at Bega High School. Yesterday he was test pilot on the Bournda TrailRider and gave it the big thumbs up after a journey up and down stairs and across some bumpy ground! The Year 10 students will be coming out to Bournda in November for their Crossroads program and Jake will take advantage of the TrailRider to access areas that his wheelchair wouldn’t be able to get to. A big thank you to Jake for giving us expert feedback on the set up of the TrailRider. And thanks to Mrs Harris for organising the test with Jake..
Mr Freedman (Bega HS), Jake and SLSO Catherine with the Bournda TrailRider. 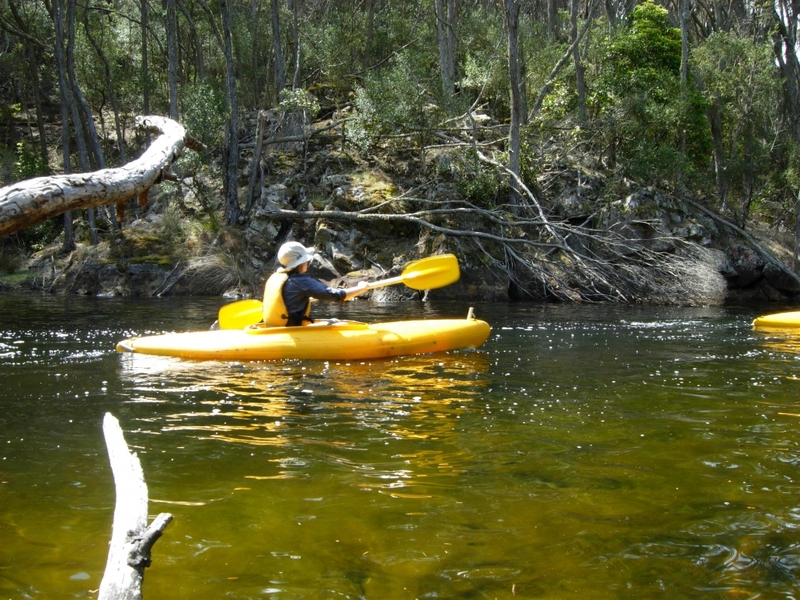 On Monday Bournda EEC received a call from Dr. David Stratton who has pioneered the use of the TrailRider in Australia. A presentation by David at the World Parks Congress in 2014 was the inspiration for us to get a TrailRider for students who come to Bournda EEC. He was thrilled to hear that we were providing this support to students in our schools and is keen to see some photos of the TrailRider in use. You can check out more about David’s inspirational story in this video. 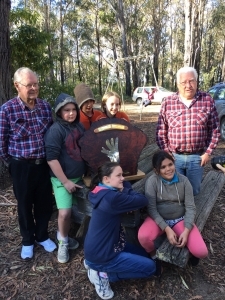 Acknowledgements: The TrailRider was purchased with contributions from Bournda EEC, NSW Department of Education Student Services, Tulgeen and Tarra Ford. 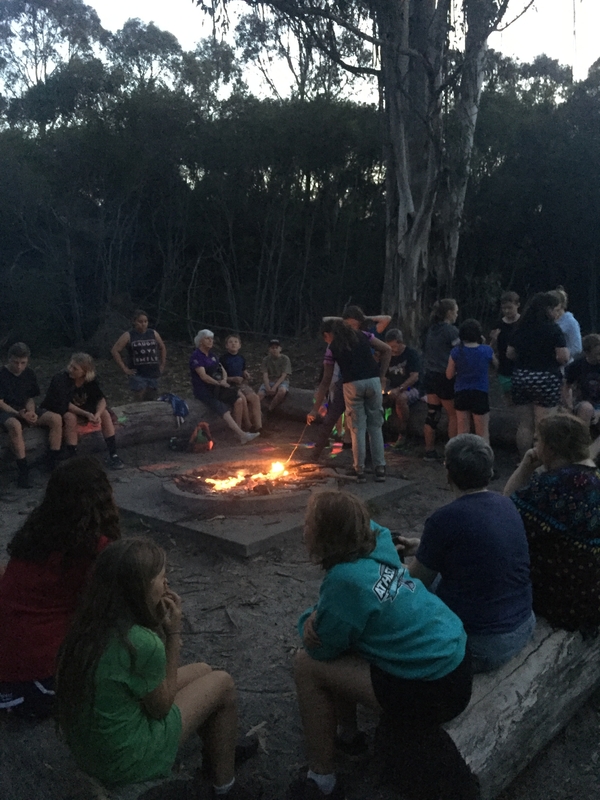 Bega Valley CDAT Leaders Camp is on! Yes, there is rain about but it won’t deter us from having a good camp! The bush will be dampened but our spirits will not – the camp is still on! See you at Bournda! 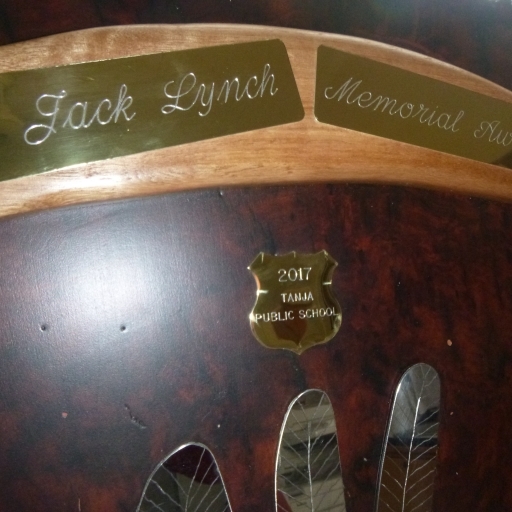 The story of how this wonderful trophy left the Bournda nest and flew to Tanja Public School will soon be told by ABC Open and the Bega District News! Stay tuned for further details. 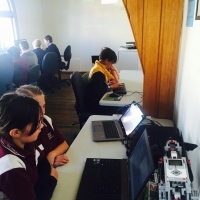 Looking forward to seeing Central Tilba PS at Bournda today. It will be windy but there is NO Severe Weather Warning for Damaging Winds AND we have access to the Shelter Shed at Hobart Beach. Rug up! The temperature will be low and the wind chill will make it feel colder. 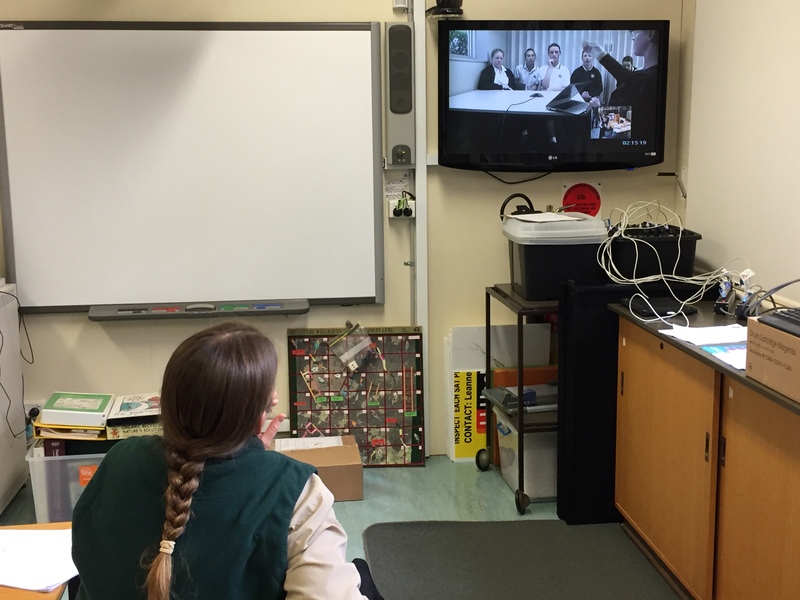 Today Bournda EEC hosted video conferences with Ulladulla High School and Moruya High School to discuss progress on their GoMAD (Go Make A Difference) projects. It was great to hear the enthusiastic ideas of students on how to make a difference to waste in their schools. 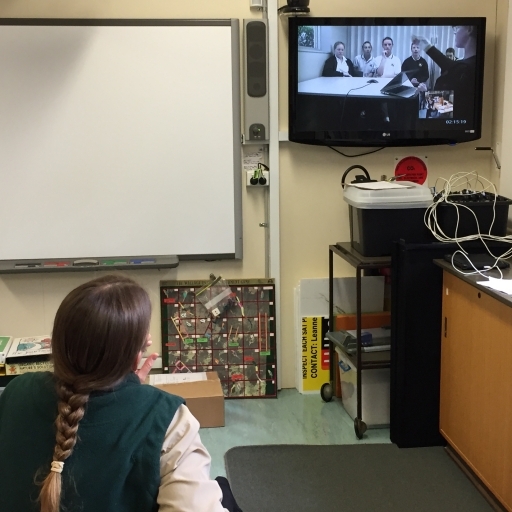 Julie Donne, Bournda EEC Teacher and Canberra Region Joint Organisation Waste Education Program Project Officer, discussing a GoMAD project with Ulladulla High School’s GoMAD team and teacher Gemma Smith. 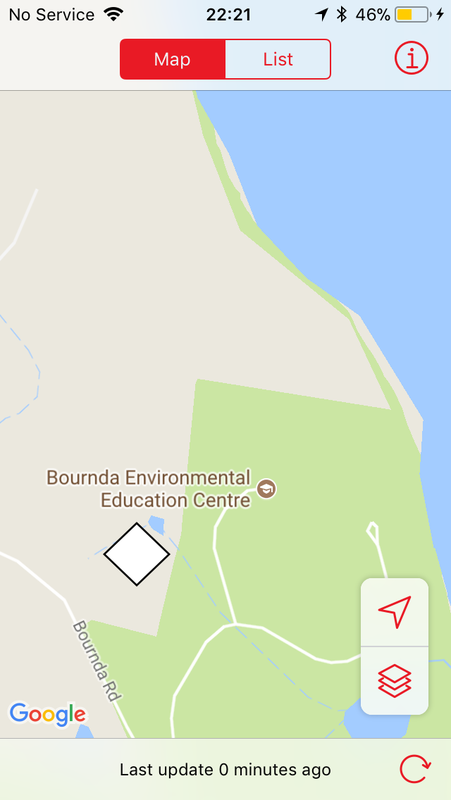 Narooma Public School Excursion to Bournda today has been postponed due to forecast winds with a severe weather warning issued by the BOM. We had some trees down and lost power yesterday. It is Very disappointing but safety comes first. 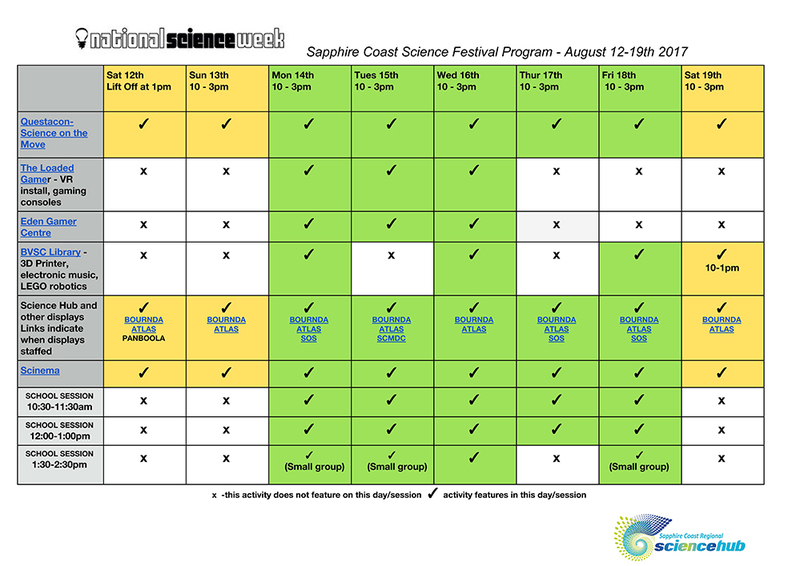 You can check here to find out the daily program and latest news from the Sapphire Coast Science Festival! 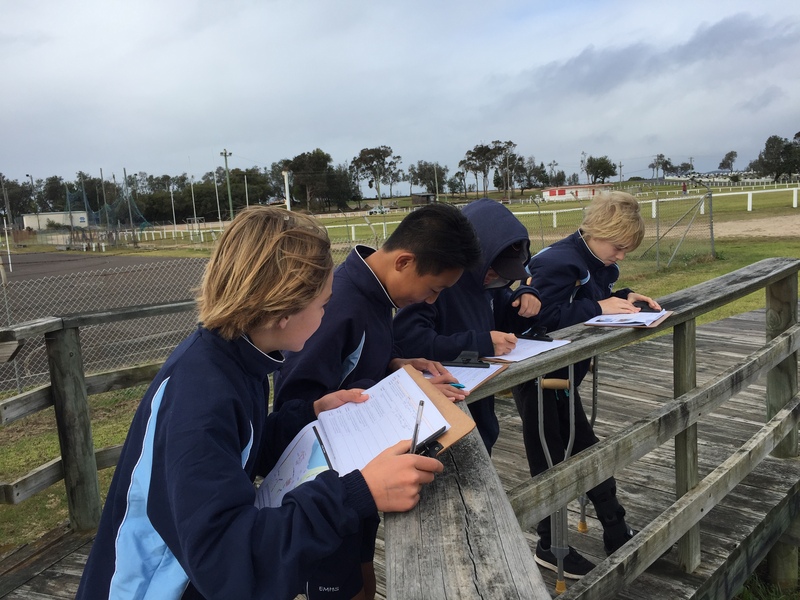 Stage 2 Weather Warriors – They were the Dux of Bournda! Thanks to Tathra Public School, Bega Valley Public School and Tanja Public School students that braved the elements and completed the Weather Warriors program today at Bournda EEC. It was wet, wet, wet and the perfect day to have a closer look at the Water Cycle. The students did an animation of the water cycle and did get outside to check the rain gauge. It was hard to rein in their enthusiasm! We’ll send an evaluation to check “whether” they enjoyed the day! Thank you to the teachers and parents for organising the students to come today and especially the parents that did the drop-off and pick-up duties. They came, they soared, they warbled! 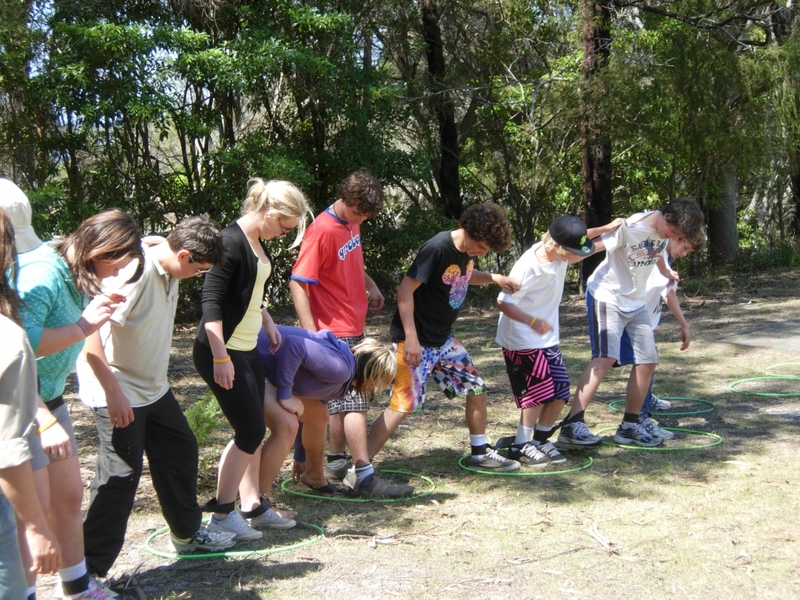 The inaugural Sapphire Coast Learning Community Bournda Bird Olympics was held on Thursday 27th July. 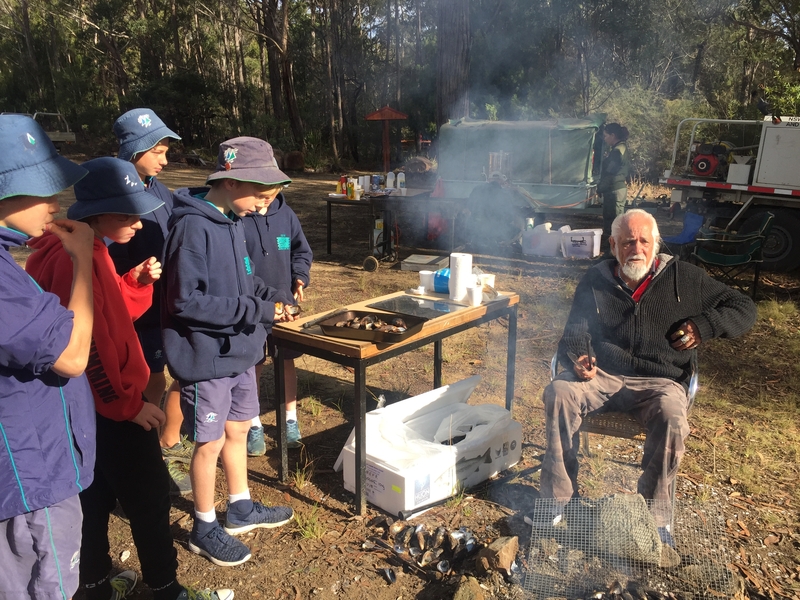 It was a fantastic day and the students from Tathra, Towamba, Tanja and Wolumla Public Schools were fine representatives for their school communities. 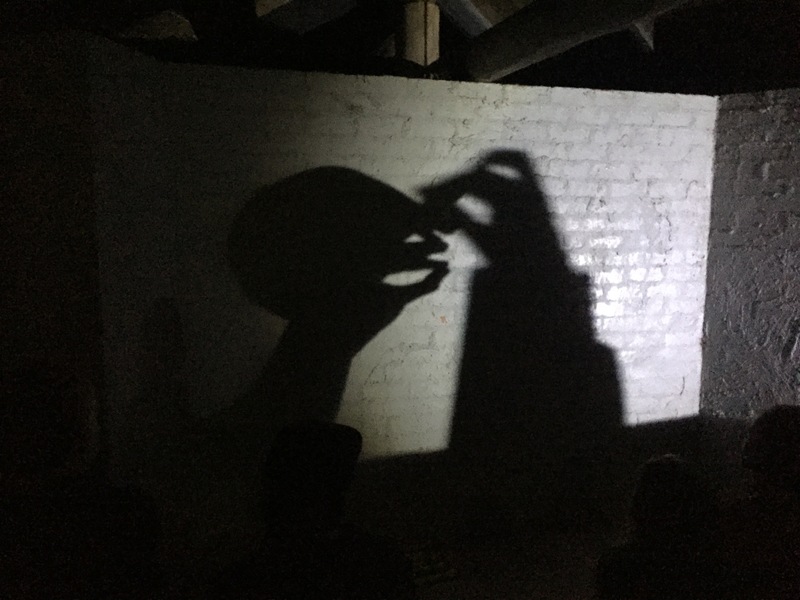 EVERY student had a go in the bird call section and there was magic in the room as the students showed off their skills! 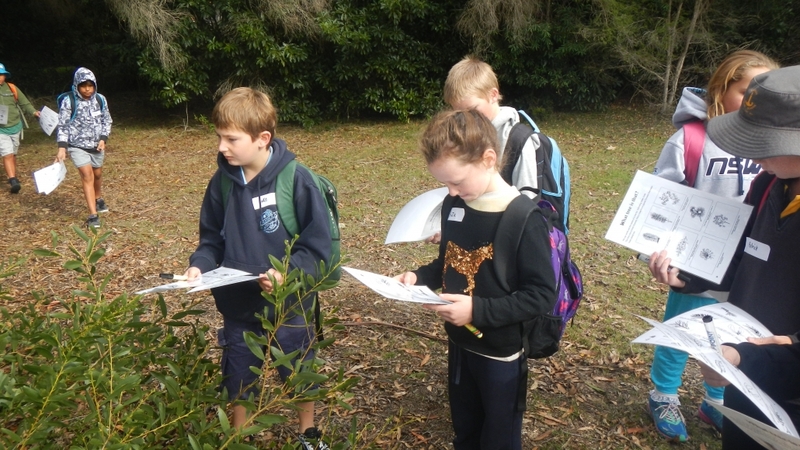 Each school received a set of posters from the Gould League and each participant was awarded a “Looking at Birds on the Far South Coast of NSW”, generously donated by the Far South Coast Bird Watchers. The students participated in six activities: identifying bird calls; identifying birds from pictures; matching feathers to birds; bird knowledge quiz; bird creative art; and bird calling. Champion bird callers Bruce Chapman (Left) and Jim Burton with overall winners Tanja PS and the Jack Lynch Memorial Award. 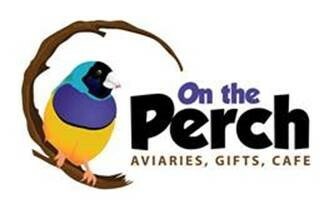 Highest Individual Scores – On the Perch Family Day Passes – donated by Steve and Linda Sass, On the Perch Bird Park. We were fortunate to have a few champion bird callers of yesterday present; thank you to Jim Burton and Bruce Chapman for judging the bird calling. Other Bird Calling luminaries present were Gary Beveridge, Sandra Bray, Marg Liston, Fay Deveril, Elaine Cozens and Jill. Don Bretherton (Merimbula-Imlay Historical Society) assisted with the display materials. It was a pilot program but there was a definite vibe that it would be great to continue the event next year and to get more schools involved. 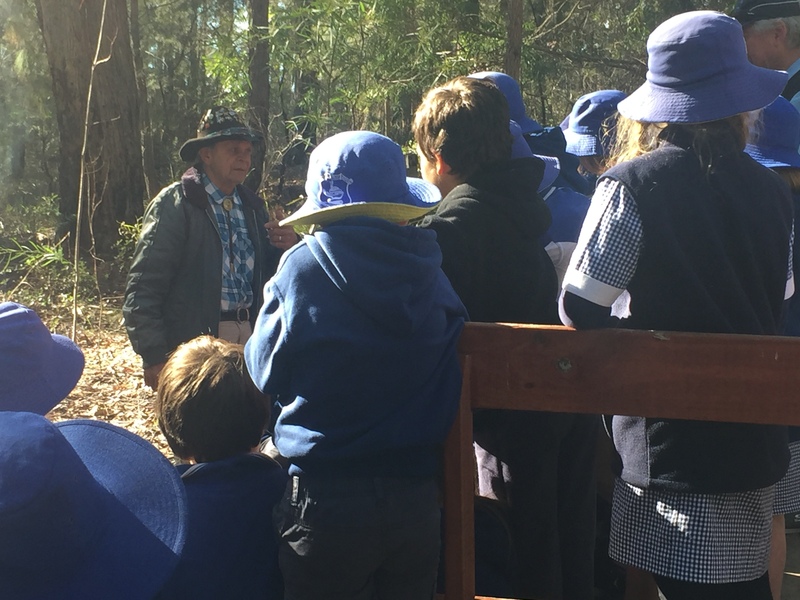 Newspaper articles provided by the Merimbula-Imlay Historical Society, show that at it’s peak in the 1950s, the South Coast Bird Days, organised by Merimbula Public Principal Jack Lynch, were attended by up to 700 students and 200 adults!! 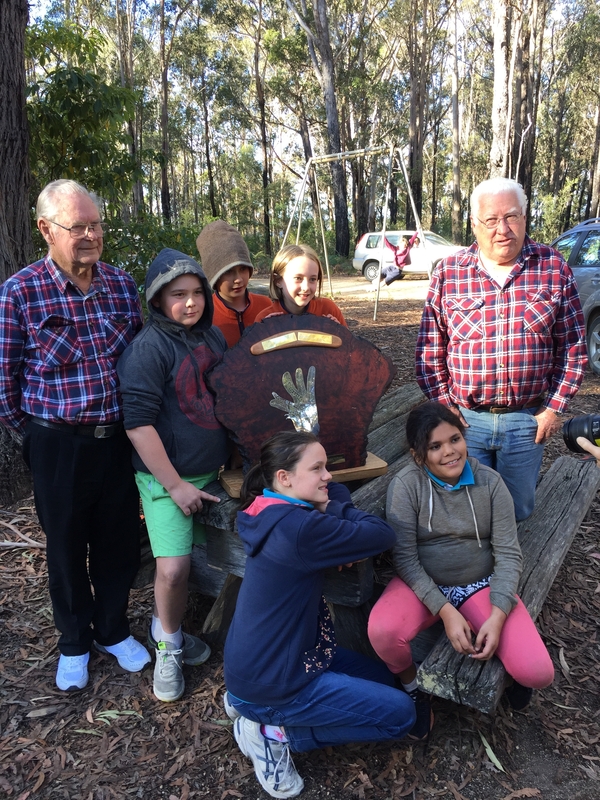 Thank you to our prize sponsors and thank you to the Merimbula-Imlay Historical Society for kindly loaning us their Bird Call display and bird call activity. A big thank you to the Bird Brains behind this event – Peter Claxton, Principal of Wolumla Public; Nancy Blindell, SAM Towamba Public; Robert Whiter. 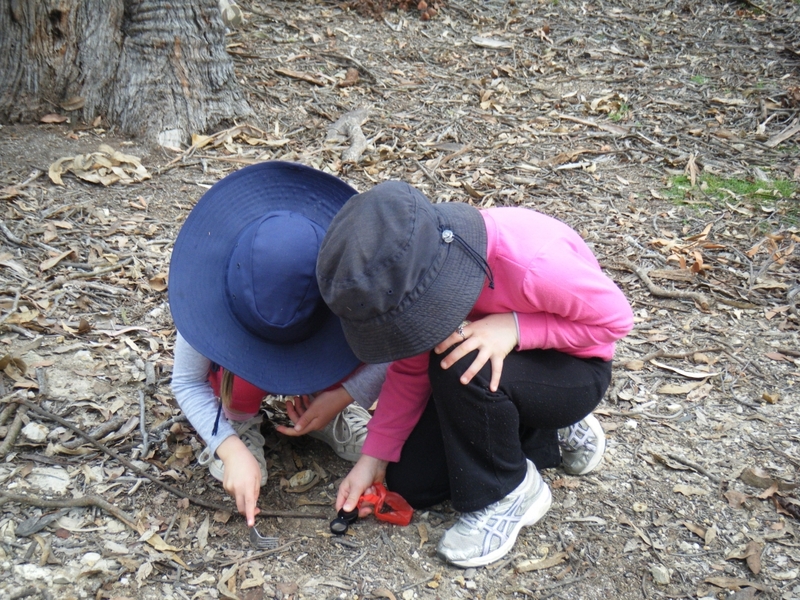 Are you coming to this year’s NSW Environmental Education Conference on Wed 27- Fri 29 September in Sydney? The conference is always an amazing opportunity to network, access new resources, learn and get inspiration- it’s one big professional development opportunity!! The early bird registration ends on July 31, so now is the time to get your conference registration happening. Not an AAEE member? Now is the time to join! AAEE NSW would love to see you there and it will be a great opportunity for you all to reconnect face to face. 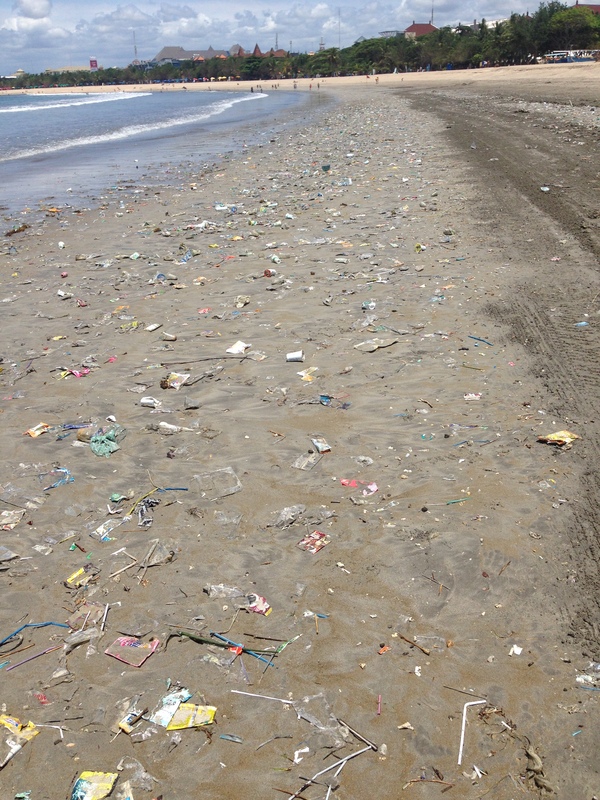 Are you interested in assisting with monitoring marine debris in your local area? 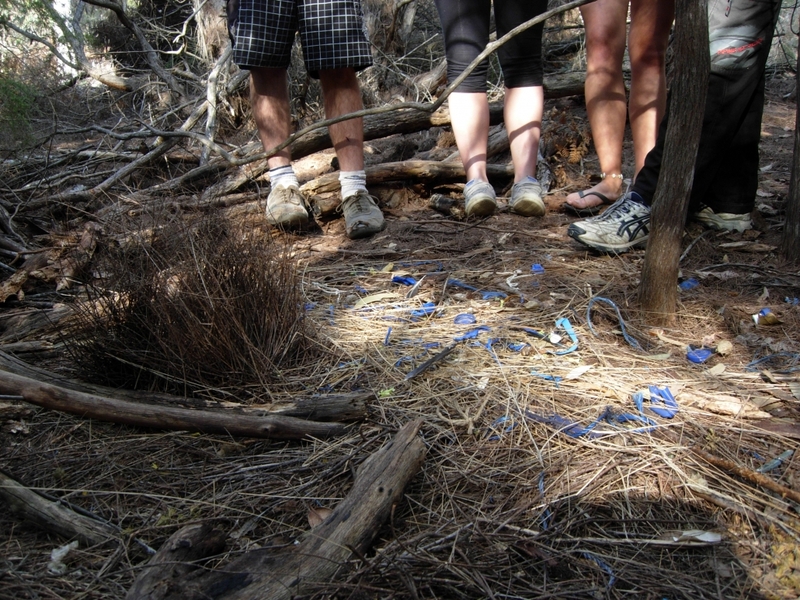 Tangaroa Blue is working with the EPA on a container deposit monitoring project in NSW. 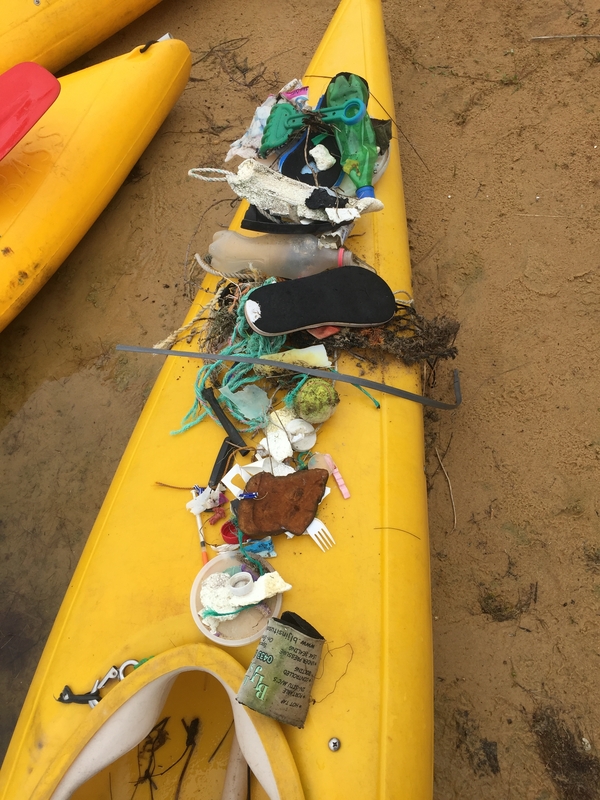 The monitoring is happening along estuaries from Northern NSW down to Merimbula and it is planned to do four monitoring events before the container deposit scheme is created on Dec 1st 2017 and another 8 after it is implemented. 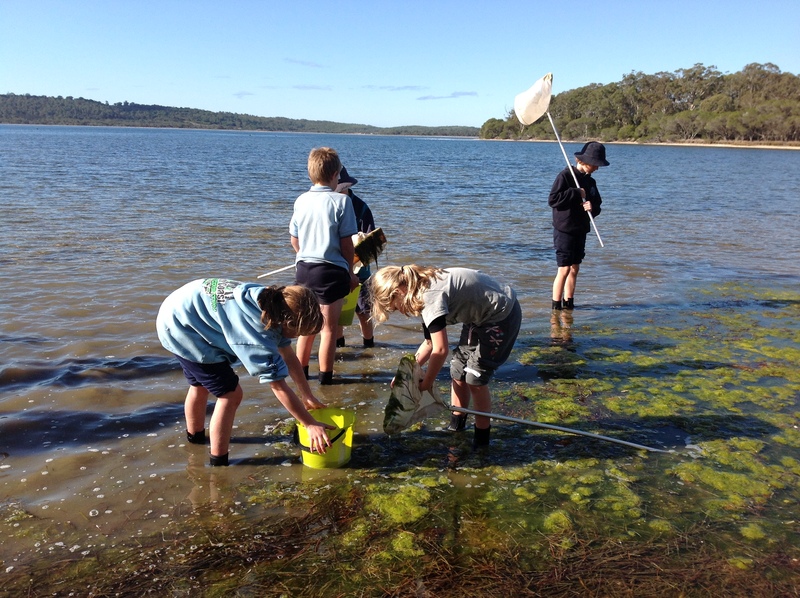 They have set up four sampling sites in our local estuaries and are looking for interested Merimbula community members who can assist on the weekend of June 24/25 to be trained to complete the remaining events. Eden Marine High School (EMHS) Year 7 students have been participating in a new geography program looking at coastal hazards in the local area. Supported by Bega Valley Shire Council (BVSC), the National Parks and Wildlife Service and Bournda EEC, the program has been developed with EMHS Geography teachers and introduces the students to important coastal processes and coastal hazards like beach erosion and coastal inundation. The students took advantage of a break in the rain and surveyed sites to identify infrastructure and assets that may be at risk and used computers to look at hazard maps prepared by BVSC. Students take on the role of Council staff to prepare materials to raise public awareness of the issues involved. 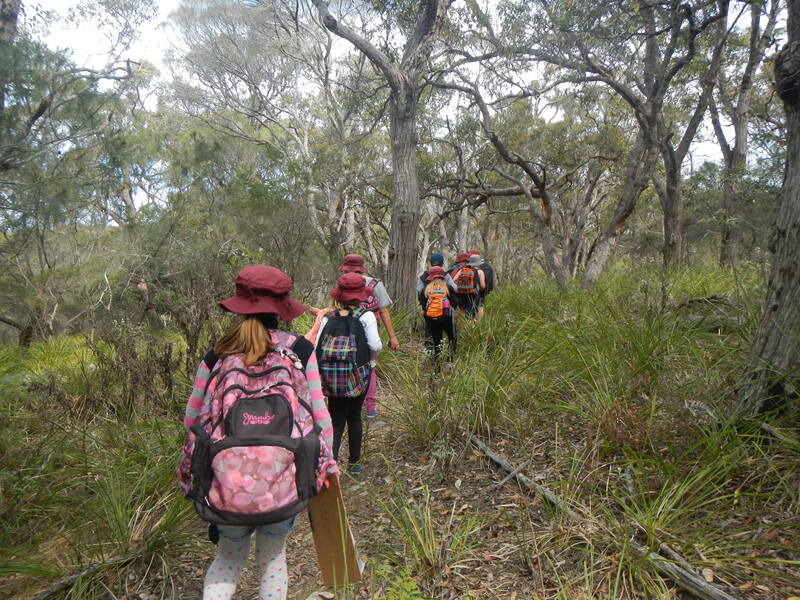 Bournda EEC thanks BVSC, NPWS and EMHS (particularly Mr Cookson) for their assistance. We were having such a good time at Bournda EEC’s 40th (yes 40th!!) World Environment Day (WED) Dinner we forgot to take photographs but luckily Chris Polglase captured some images. 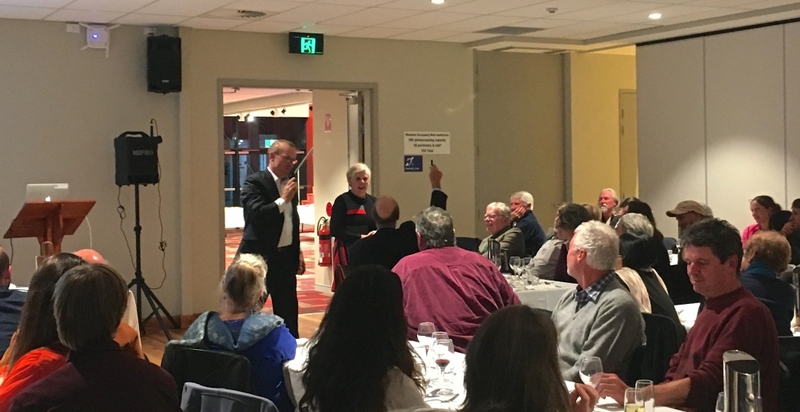 110 people ventured out for the celebratory dinner at the Bega Valley Commemorative Civic Centre and reminisced on 40 years of WED dinners initiated by the inaugural Bournda Principal, Jack Miller, way back in 1978! 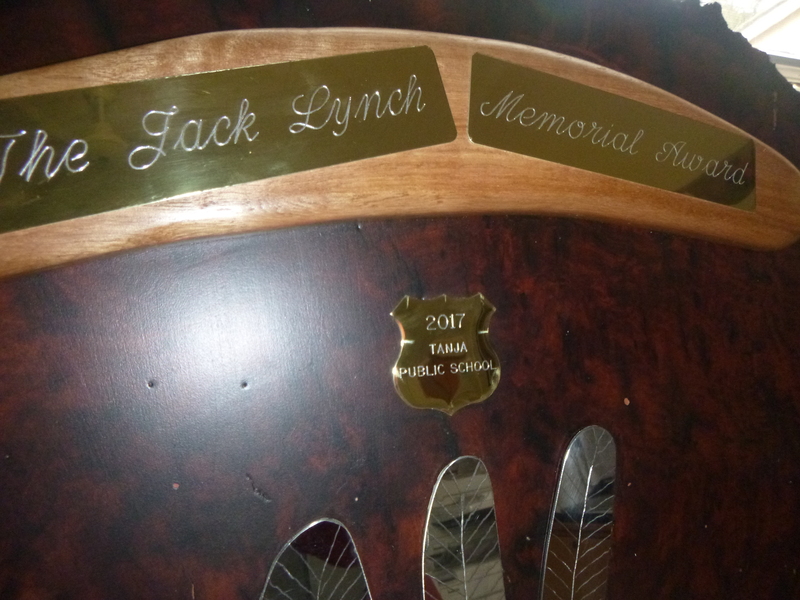 The assembled gave a round of applause for Jack’s efforts in nurturing the event for many years. Welcome to Country was given by Colleen Dixon in the Gulaga Room and she spoke of how important it was for people to remember to look after Mother Earth. Other highlights included the lucky door prize of a hand carved wooden elephant generously donated by Spoonsmith! In this photo you can see guest speaker Dr. John Merson, with hand poised to randomly select the eventual winner, Josh Brown, while Bournda Principal Doug Reckord and Administration Manager Jan Lynch look on. Our guest speaker Dr John Merson was introduced by Dave Gallan and later thanked by Kim Taysom. Dr. Merson gave a thought-provoking presentation on climate change action, outlining details of the Blue Mountain’s Low Carbon Living project. For those that missed out on one of the brochures John distributed, you can download it here. 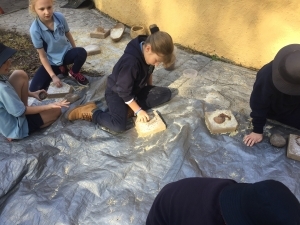 Participants admired the stunning display of creative art and writing from local school students, who had recently explored the WED theme of “Connecting People to Nature” at workshops at Bournda. Everyone agreed that it was a fantastic crowd for a Monday night and indicative of our community’s enthusiasm for giving back to Mother Earth. A good time was had by all! 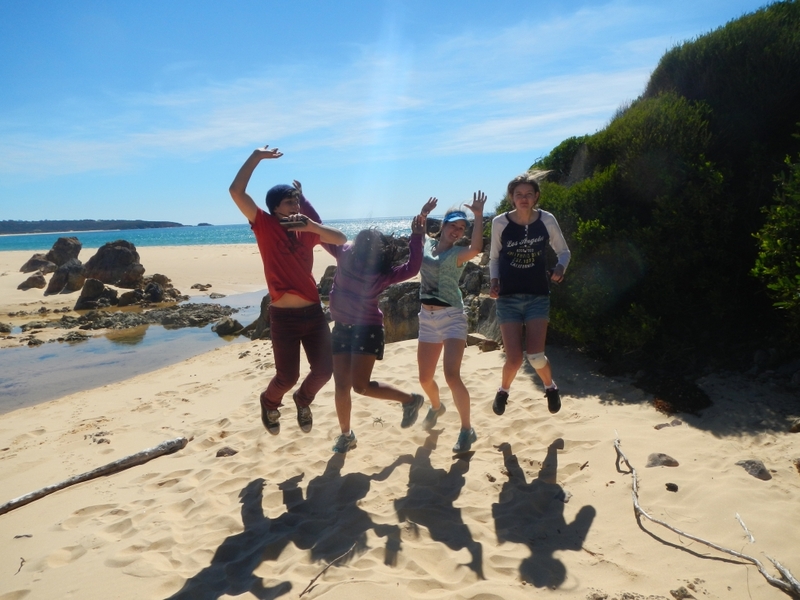 World Environment Day is tomorrow (5th June) and it is a great day to announce that Bournda EEC welcomes nominations from Year 12 students, who have shown strong environmental leadership and initiative, for the 2017 Bournda EEC Future Leaders Award. There are two $500 prizes to be awarded to eligible Year 12 students from NSW secondary schools in the South East of NSW. Nominations close Friday 30th June 2017 and the recipients will be announced at the beginning of Term 3. Please do not hesitate to contact us if you require further information/assistance. 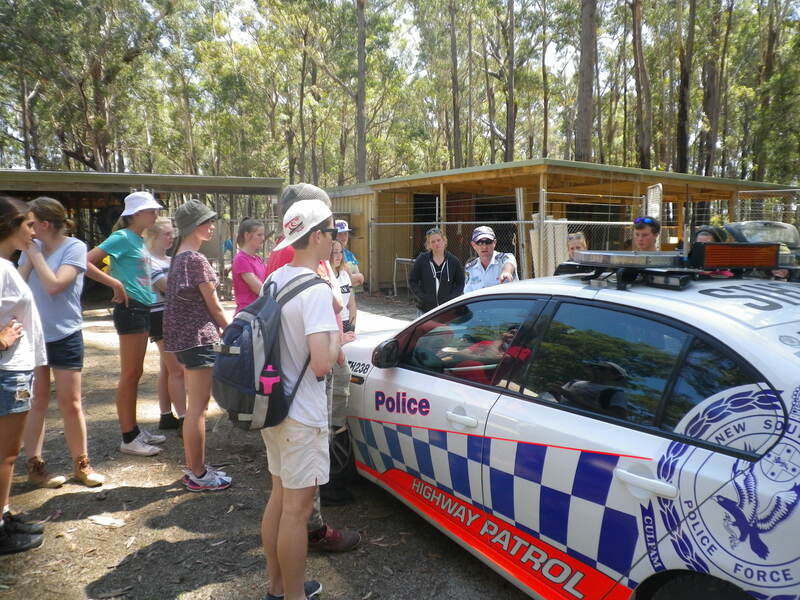 Bega High School test drive the Bournda TrailRider! Bega High School staff recently held an overnight professional learning camp at Bournda. 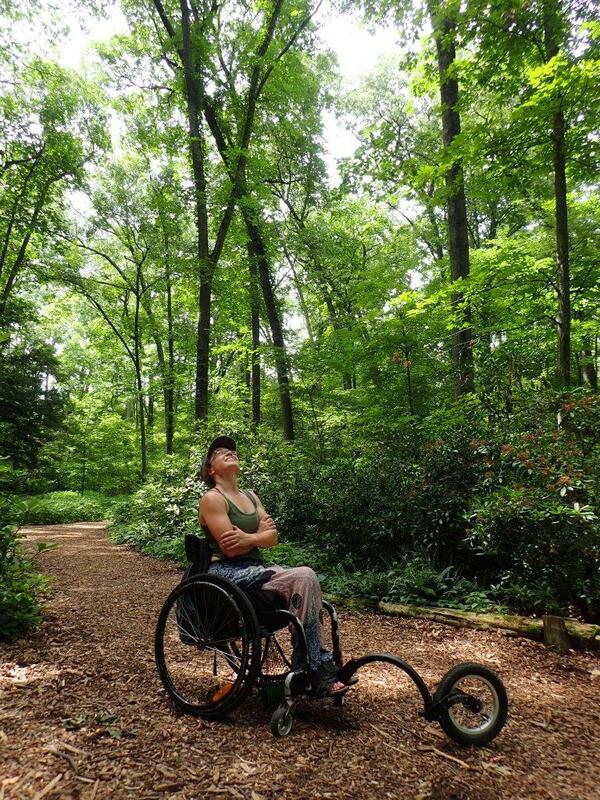 One of the activities was to develop procedures for the safe use of Bournda EEC’s new TrailRider All Terrain Wheelchair. 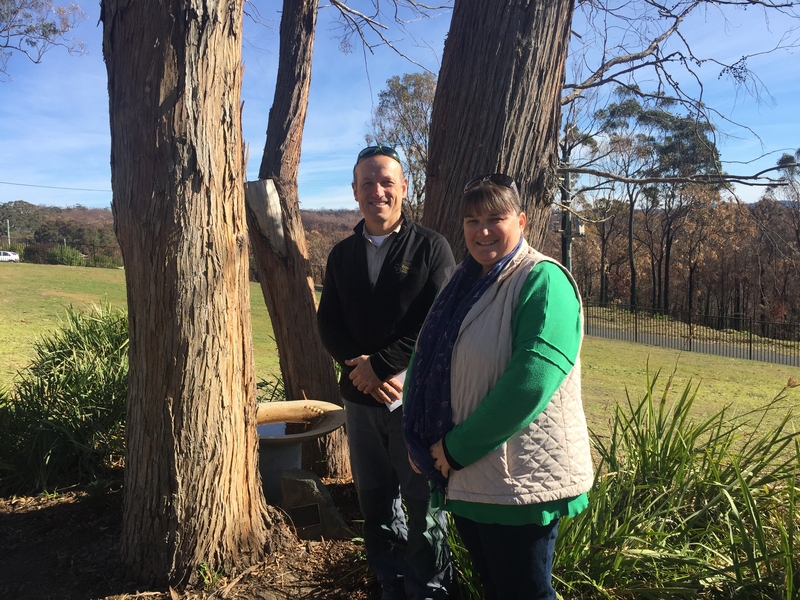 In the picture below Mark Freedman steers while Jess Harris (Head Teacher , Special Education) enjoys the scenery. The unnamed person at the front seems to be doing the work! 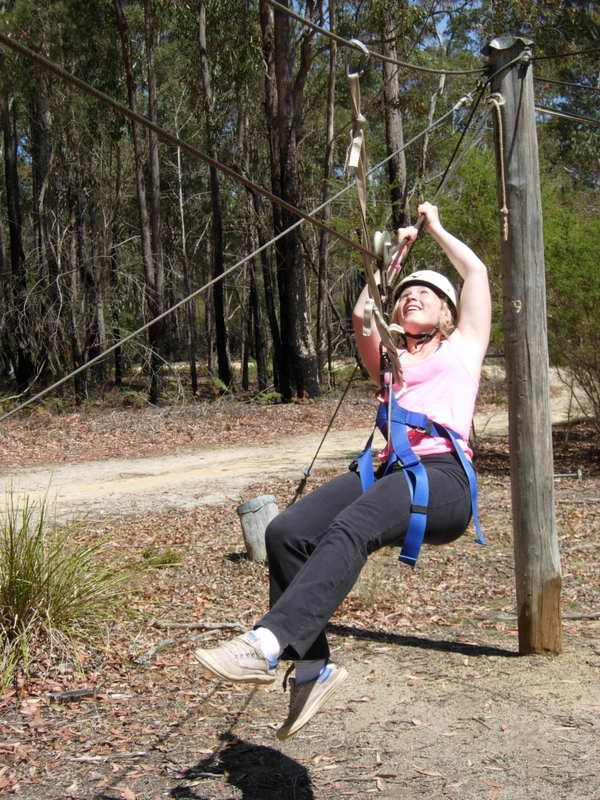 Everyone, especially Mrs Harris, was impressed by the ease with which the TrailRider handled the rough section of track. 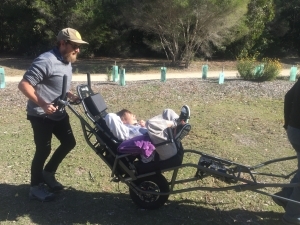 The Trai Rider will be used to assist students with mobility needs during Bournda EEC programs and will be available for loan to other community groups. Who doesn’t love exploring the bush just after rain? 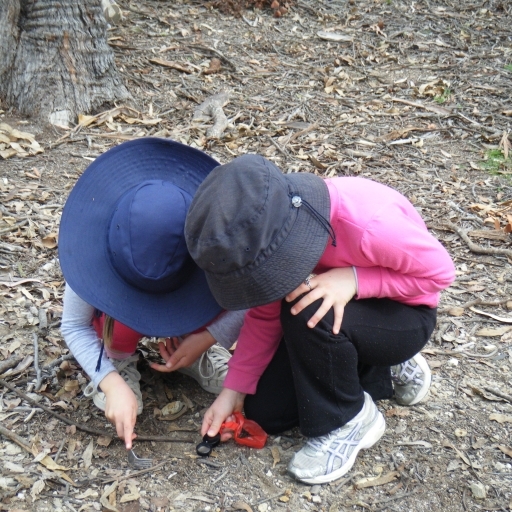 The Stage 2 Environmental Science program will go ahead today (Wednesday 24th May). The rain should clear by mid-morning. Bring a rain-coat and get ready to explore! Exciting news that will have bird fans shaking their tail feathers! On the Perch Bird Park has generously offered some great prizes to add to the booty on offer for participating students and schools. On the Perch is a fantastic place for bird lovers of all ages to visit and thank you to Steve and Linda Sass for contributing to the Bird Olympics! Check out the Bird Olympics and enter a team from your school! World Environment Day is the United Nations Environment Program (UNEP) most important day for encouraging worldwide awareness and action for the protection of our environment. Since it began in 1974, it has grown to become a global platform for public outreach that is widely celebrated in over 100 countries. “Connecting People to Nature”, the theme for 2017, implores us to get outdoors and into nature, to appreciate its beauty and its importance, and to take forward the call to protect the Earth that we share. This year’s theme invites you to think about how we are part of nature and how intimately we depend on it. It challenges us to find fun and exciting ways to experience and cherish this vital relationship. 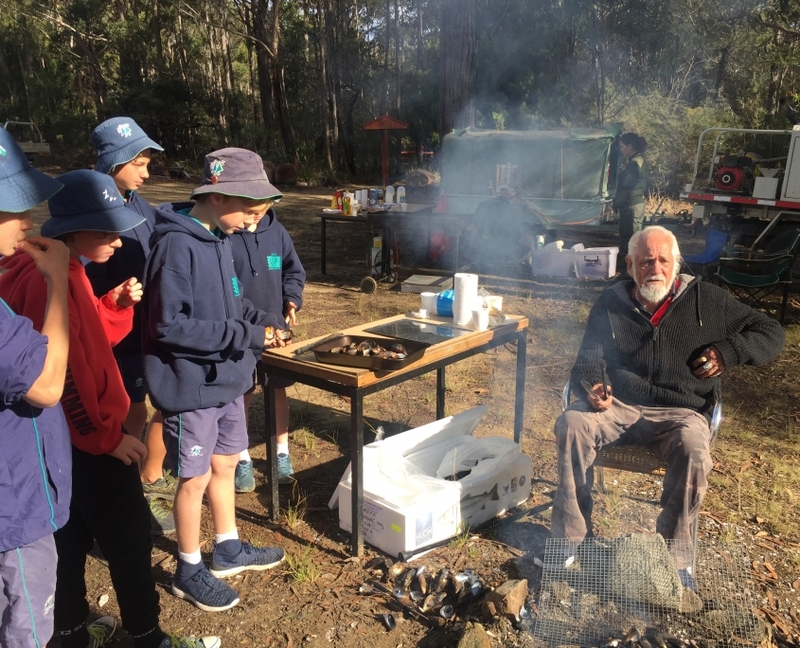 Bournda Environmental Education Centre has been hosting an annual dinner to celebrate World Environment Day for the last 40 years and this year the guest speaker is Dr John Merson. Associate Professor John Merson was the Director of the Interdisciplinary Environmental Studies until 2012 and Head of the Graduate Research Program in Environmental Policy and Management at University of NSW. He is presently the Executive Director of The Blue Mountains World Heritage Institute, and has been a consultant to the UNESCO, APEC, IUCN, DEST & Dept. of Foreign Affairs. He was a member of the Australian Indonesia Steering Committee on Science and Technology, and the Australia Korea Forum. He is the author of seven books and a wide range of academic papers and research covering issues of Environmental and Development, Adaptive Environmental Policy & Management and Climate Change Adaptation and Mitigation. For his journalistic work, he is the recipient of a United Nations Media Peace Prize. 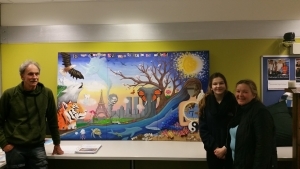 The dinner will also feature wonderful creative art and writing by local students which will then be displayed in local libraries throughout the Bega Valley. The World Environment Day Dinner is on Monday June 5th, at the Bega Valley Commemorative Civic Centre, with doors opening at 6pm for a 7pm start. Tickets may be purchased, at a cost each of $40, from Candelo Books (Bega) with a cash sale or through Bournda Environmental Education Centre, phone 6494 5009. Two octopuses. One crab. The chase is on in the shallows of Wallagoot Lake. Bournda EEC teacher Luke Brown has a knack of being in the right place at the right time to show students our amazing natural world and these Stage 1 students from Tathra Public School had a treat today! Some students were cheering on the “squid”. Was anyone cheering on the crab? We’ll see you out there! Looking for some fun on Sunday? 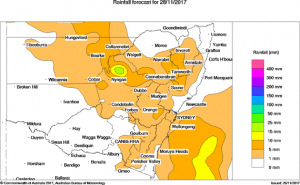 Keen to get out and about after the wonderful rain? 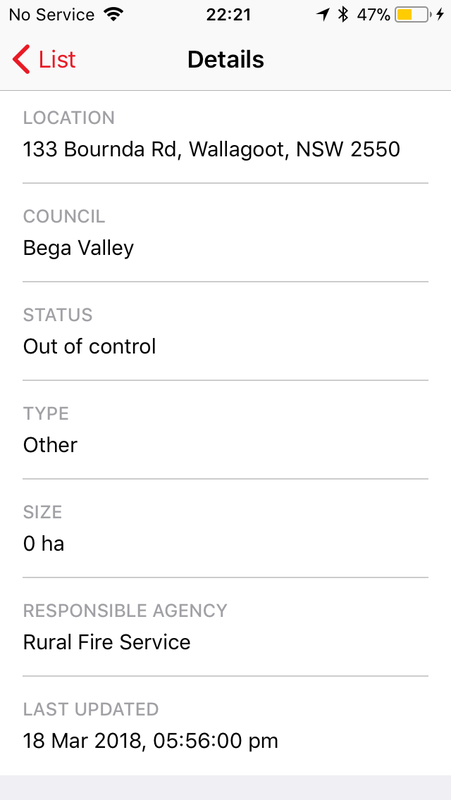 There are plenty of sites around the Bega Valley where you can chip in to help reduce our litter problem. Council will accept material from the registered groups IF the material is in CUAD bags. 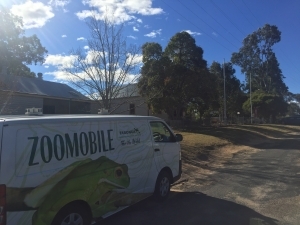 We’ll be looking after our usual stretch of Sapphire Coast Drive from Bournda Road to Red Hill Road, through Bournda National Park and Bournda Nature Reserve. 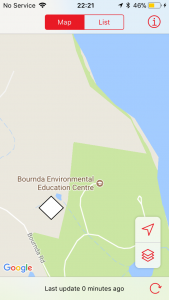 Volunteers can head North towards the racecourse OR South towards Merimbula OR East along Bournda Road. 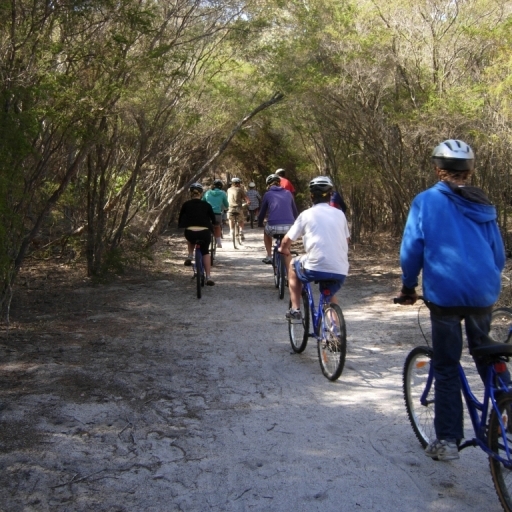 #BEGATATHRASAFERIDE will be coordinating the Bega Tathra Safe Ride site, starting at the intersection of Tathra Road and Sapphire Coast Drive. Volunteers here can head South along Sapphire Coast Drive OR East to the Strathmore Crescent intersection (Evans Hill was cleaned up a few weeks ago) OR west to Kalaru Village and beyond. NO kids under 14 allowed on these sites as they are on roadways. Bournda CDAT Camp wins award! Bournda Environmental Education Centre has been working with the Bega Valley Community Drug Action Team (CDAT), on a camp that brings students from all four secondary schools together. Bournda EEC thanks Paul Brunton and the CDAT for their support for the program. Thanks also to the students and teachers from participating schools! Year 11 & 12 students send your submissions in by May 31 2017! 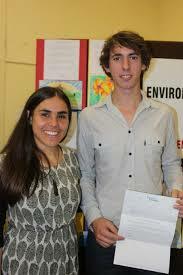 Future Leaders generously sponsor the Bournda EEC Future Leaders Environment Award which will be presented at the World Environment Day Dinner, 5 June. Two Year 12 students will each win $500. The application form for this award will be up loaded and sent to schools shortly. A rare sighting of a Freckled Duck near Wallagoot Lake. With thanks to Max Sutcliffe, Far South Coast Birdwatchers for the photos. There is still time to register but be quick! A scientific snapshot shows Australia’s heatwaves will be hotter, last longer and occur more often. The Climate Council’s new Cranking Up The Intensity: Climate Change and Extreme Weather Events report finds that while the links between climate change and some extreme weather events such as bushfires and heatwaves are well-established, the evidence linking climate change to storms and heavy rainfall is also growing. 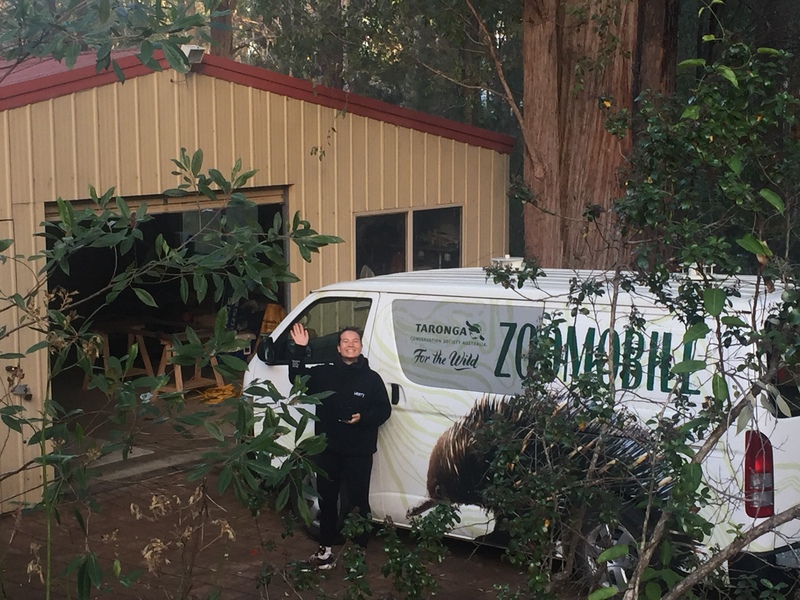 Just right for starting a camp! Cloudy. 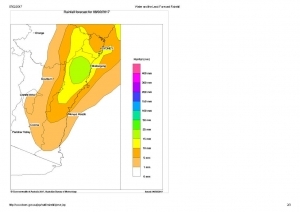 Very high (90%) chance of showers in the north, medium (60%) chance elsewhere. Areas of fog about the coastal ranges. Winds northeast to southeasterly 20 to 30 km/h tending northeasterly in the morning. Daytime maximum temperatures in the low to mid 20s. Looks better for camping on Wednesday. A bit of rain still about but should clear. 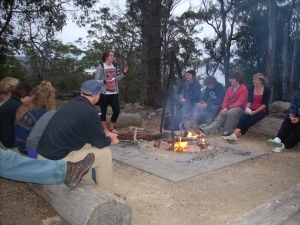 Tathra Public School Year 6 Leadership Camp has been postponed due to the forecast rain. 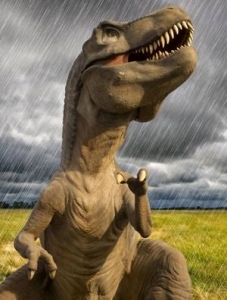 The forecast indicates more rain throughout the day. 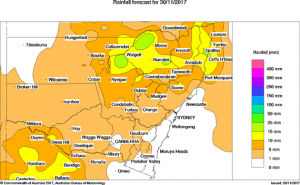 Hopefully it will bucket down – it’s needed. 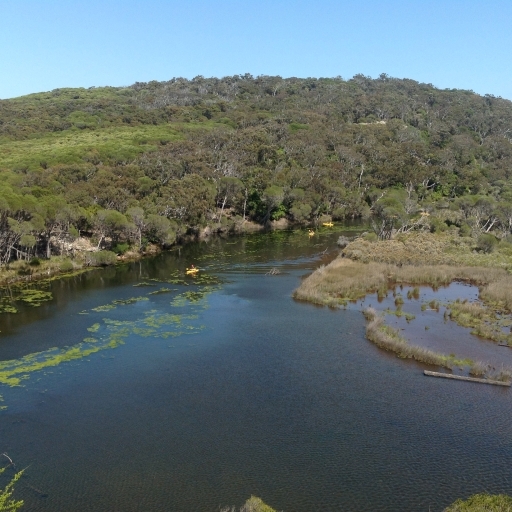 Far South Coast Conservation Management Network highlights the importance of wetlands in the Bega Valley wetlands on World Wetlands Day – TODAY! 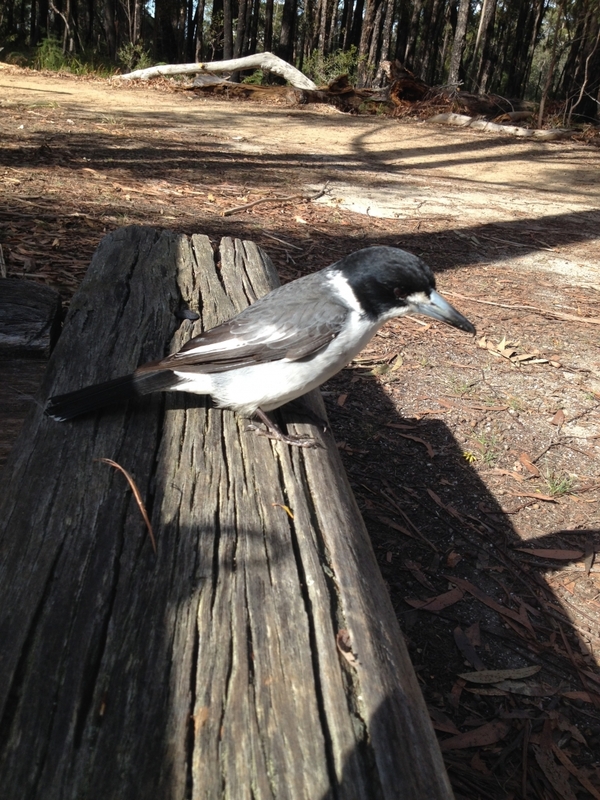 I was amazed to see our ‘wild un-afraid magpie’ (at home) regurgitate something up recently. I immediately went to see what it was – and as he was only about five meters from me and on the driveway – it was easy to spot. Here is a photo I took of the pellet, fresh from the Magpie! I didn’t even know that they did this till I saw myself & researched it. Do our tourist roads look clean for Christmas? 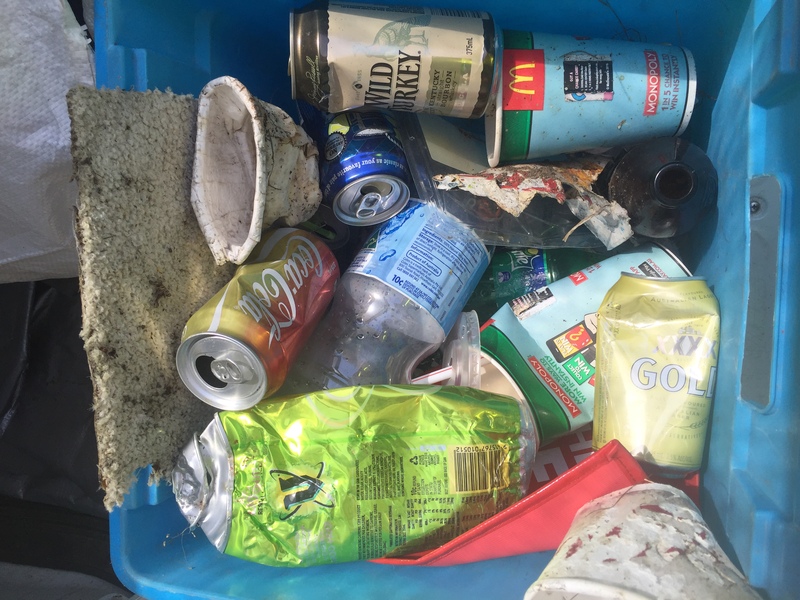 For a number of years Bournda EEC staff have been collecting data on litter on Sapphire Coast Drive and other locations in the Bega Valley Shire. 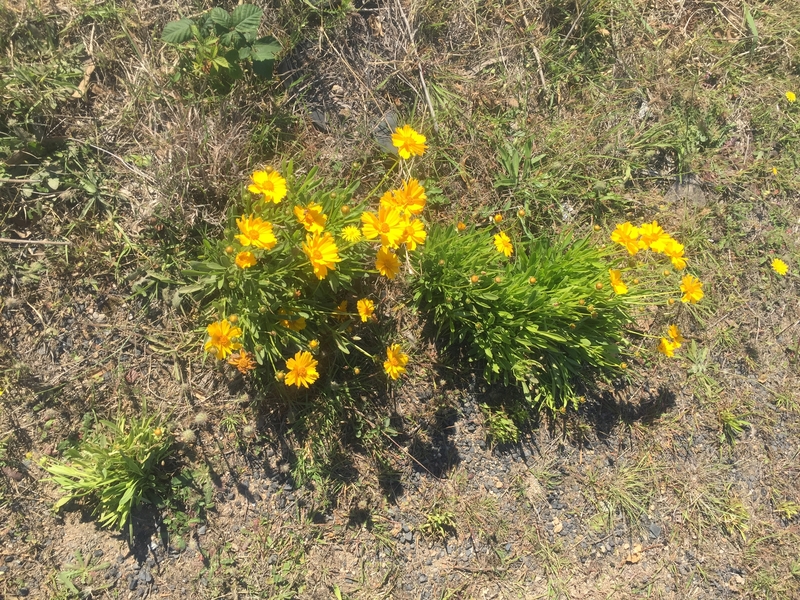 You can read about the findings in this roadside-litter-report. Today was the beginning of a new round of collecting and analysing roadside litter. We started on Sapphire Coast Drive, on a section of road that passes through National Park and Nature Reserve. We haven’t crunched the numbers yet but the pictures show a small sample of what we have found at just 6 of the 14 index sites on Sapphire Coast Drive. Certainly some sections of the road don’t look clean and for an area with such a great reputation for pristine environments, that is a problem. 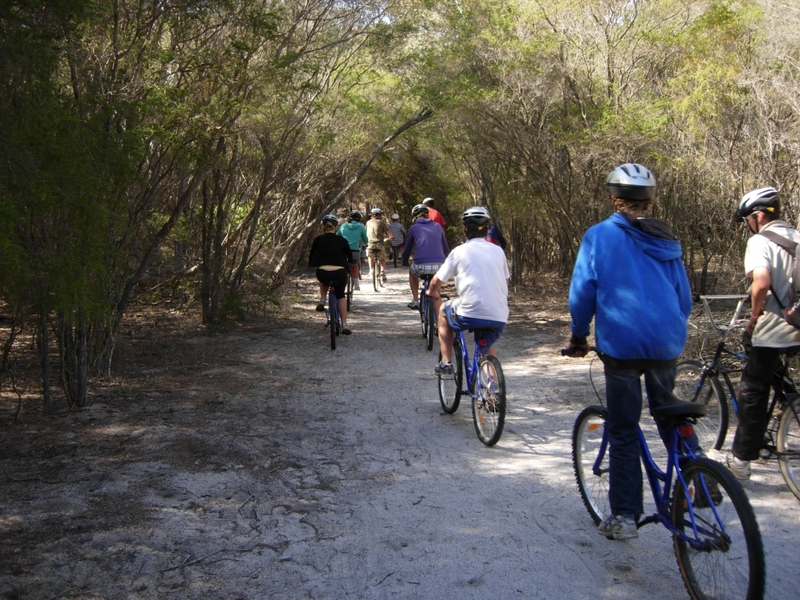 It is also a concern that the roadways are only a short distance from our spectacular beaches and estuaries. 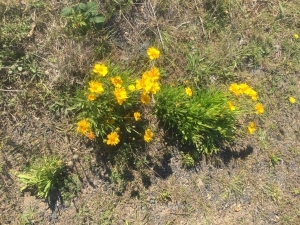 The pictures below show a typical sample from a 60 square-metre section of roadside. Bournda EEC will be supporting the GoMAD Challenge in 2017! Check out the flyer and if you are a high school teacher in the South East who wants a great leadership opportunity for your students, get in contact with us. 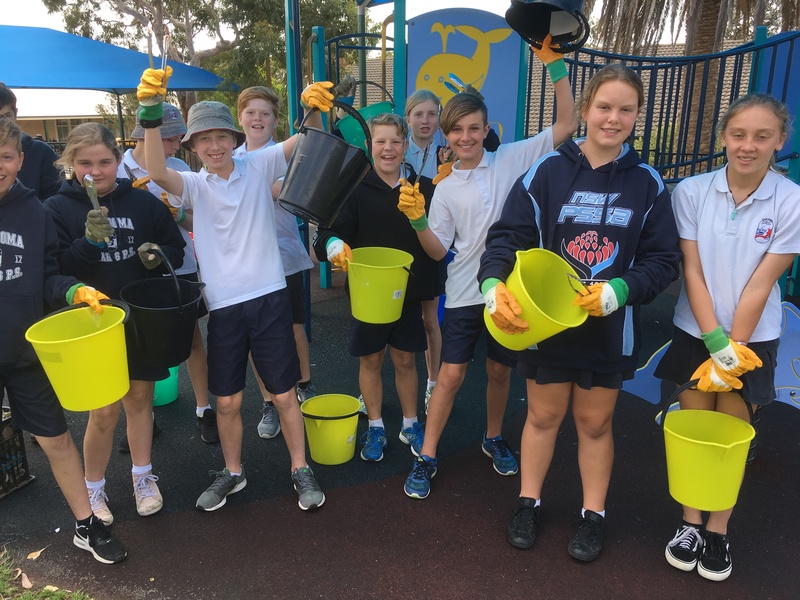 Grants of up to $5,000 are available for community groups who are keen to tackle litter in their area and have the local knowledge to make a difference. We’re excited to offer our Community Litter Grants to volunteer groups and collectives of all just stripes, not just the usual, environment-focused subjects. These grant projects are a great way to bring a team together, to make your community healthier, safer, and cleaner, and to maybe find a renewed sense of purpose. The grants are easy and accessible. They start with a local litter check (like a clean-up and an audit) in your chosen public space: a beach, or a park, or a football field, etc. For this, your group receives $500. From there, you can apply for a grant to create a project that will reduce litter long-term in their chosen public space. The grants give everyone involved a sense of ownership of the land and space around them, and the tools to make them better. It’s all about grassroots-led action (you know what’s best for your area), and KNSWB is on-hand to offer project advice at every turn. This is the third year in which the Community Litter Grants are being rolled out, but the first year a perpetual application period is being introduced. Groups can apply anytime, so why not get in touch? I’ve had a long week at the Bournda EEC. The week started with the Light to Light walk with Karabar High Sport, Leisure and Recreation led by Doug Reckord, Bournda EEC Principal. The Light to Light walk is a hike from Boyd Tower(near Eden) to the Green Cape light station, approx. 30 km. 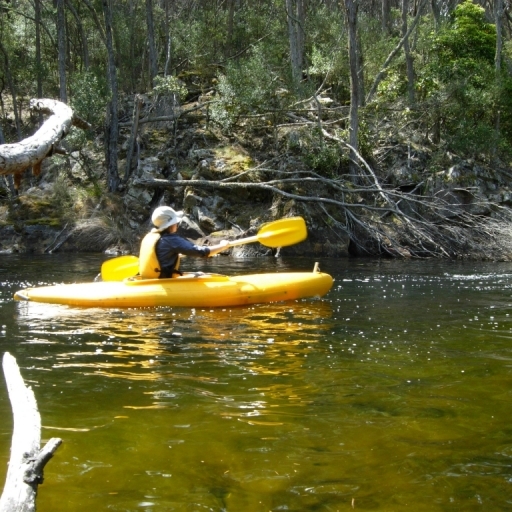 The walk encompasses much of the coastal fringes of the Ben Boyd National Park. This terrain includes soaring cliffs as well as heathlands, and the occasional historical settlement. The walk was supposed to occur over three days, but due to technical difficulties; these mostly consisting of a bus that couldn’t keep its coolant inside of itself, the walk was shortened to two days. Although this didn’t hinder Karabar’s spirit. The group soldiered on though the second day, walking twice as far as they planned. The next day they finally arrived at Green Cape. They then caught a second bus to Bournda, driven by Doug, and enjoyed a well deserved shower. They headed home early the next day. 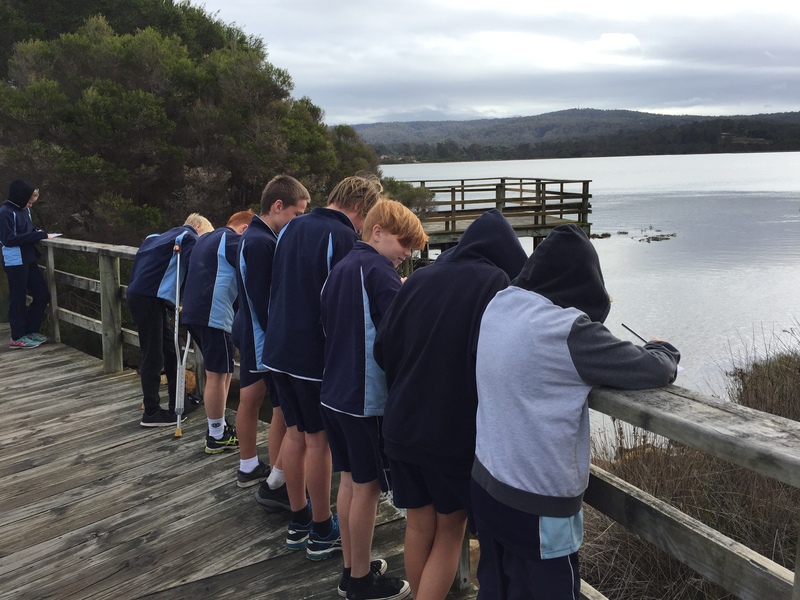 Meanwhile the student’s of Narooma Public’s grade 3 classes were just arriving at the National Park. For the first day the students were involved in a program called Significant Environments which included a guided tour of the National Park. 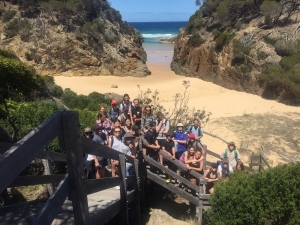 Jules Donne and Luke Brown, teachers at the EEC, led the students around the famous sights of the park including Bondi and Wallagoot Lakes as well as Bournda Lagoon and its lookout. At which the students drew their own pictures of the landscape. The students then headed back to the camp for an early night. 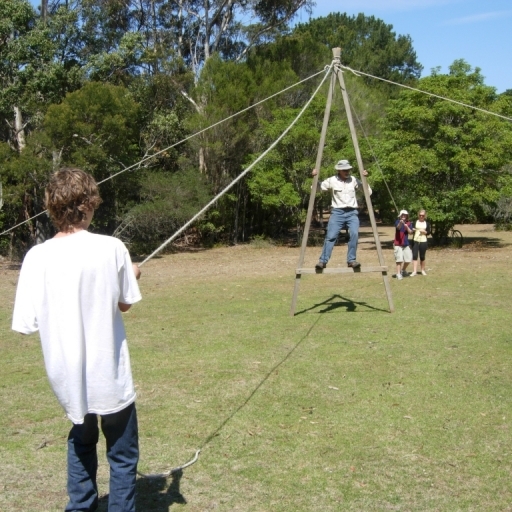 The next day the students walked to the lagoon and rotated between three different kinds of activities. 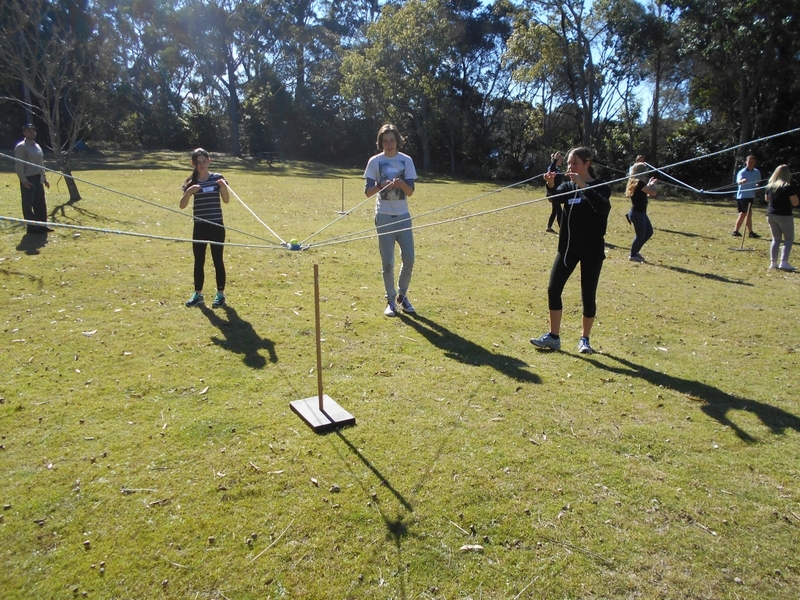 Firstly, the Challenge Games led by Bob Harris, EEC.These focused on the student developed teamwork skills and trust in one another. 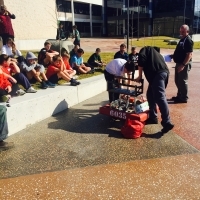 Second the Problem-solving Initiatives led by Jesse French, Naroooma PS. The initiatives focused on problem-solving and lateral thinking exercises. 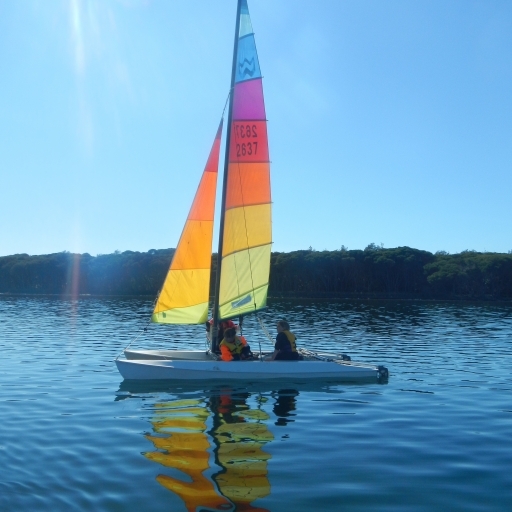 The final activity was run by Luke Brown, EEC and was a biodiversity survey of the lagoon. The students collected marine creatures of all kinds whilst Luke explained to the students the role they played in the ecosystem. The creatures were then released back into the lagoon. 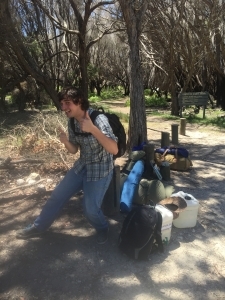 After completing the activities the NPS students walked back to camp, packed up, and with a final goodbye left. All in all my work experience was tiring but immensely fulfilling. I think I came out of the experience better understanding the relevance of environmental education both in and outside of the classroom. I hope to return to the EEC soon although I think next time I’ll leave the teaching to the professionals. Nice to see and hear the Gang Gang Cockatoo’s (Callocephalon fimbriatum) about the EEC this morning. 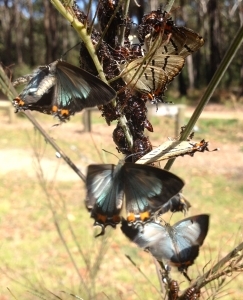 Just out of the EEC office we found these Lycaena butterflies which emerged today. Did you know that they have a relationship with ants called myrmecophily (interspecies association). 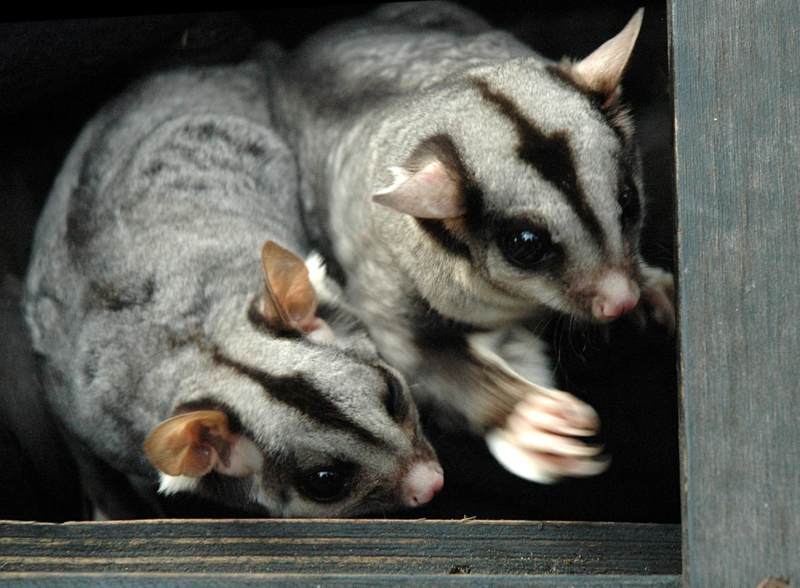 They produce sugar rich secretions that attract ants. 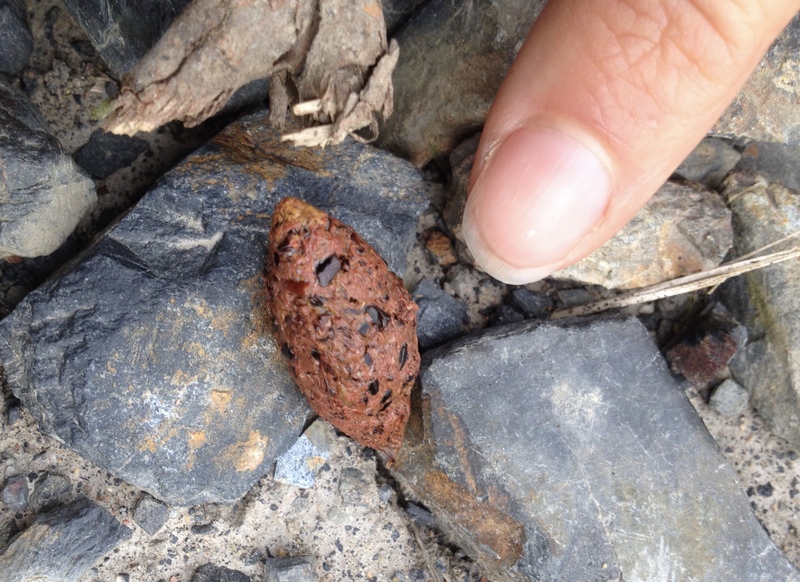 In return the ants protect the larvae and in some species the pupa also. Such a beautiful photo Doug took last week, I had to share it. I’ve decided that I should make some nesting boxes to put up in the bush at home. I like the idea of using a hollow log but it’s important to leave logs in the bush for ground dwelling animal habitat. Useful information and design ideas for nesting boxes I have learnt that it’s a good idea to thread the wire through a piece of garden hose to help protect the tree and to put some loops in the wire for extension as the tree grows. 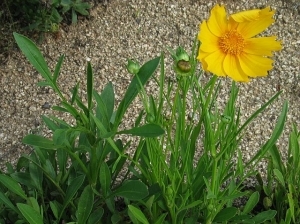 Placing the box at a height of 5 meters or less will attract most species, position the box so that the hollow is protected from the prevailing weather. An owl in the yard! This beautiful young Masked Owl was spotted by Phil in his yard. 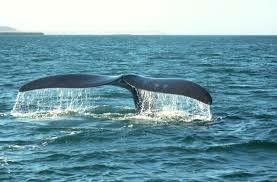 Amazing to see its defensive behaviour. 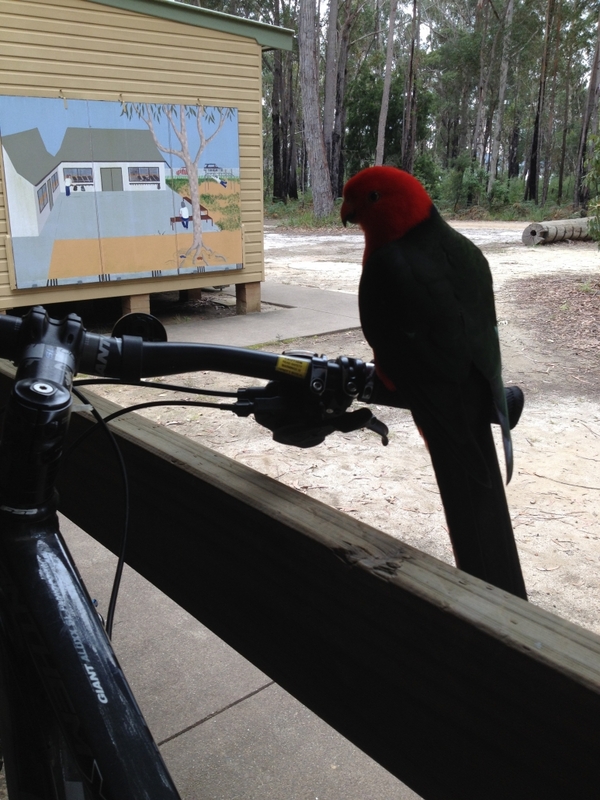 The Bournda EEC staff had the pleasure of visiting On The Perch recently. Great to see the birds so happy and comfortable, with plenty of space to fly (and perch on us!) The Bush Stone Curlew is nesting again (she’s chosen a spot right by the path) and the chicks are due to hatch just in time for Threatened Species week. Sadly this bird is on the endangered species list due to loss of habitat and predation by cats, foxes and dogs. Hooray for a new barbeque! 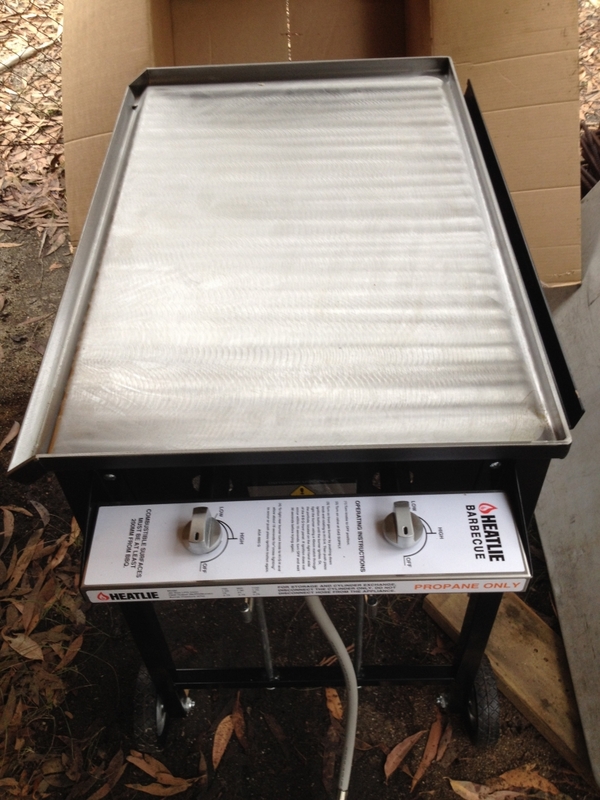 Looking forward to cooking on it at the school camps. Local paddle boarder has a close encounter with a giant of the sea! The world’s largest gorillas have been pushed to the brink of extinction by a surge of illegal hunting in the Democratic Republic of Congo, and are now critically endangered. 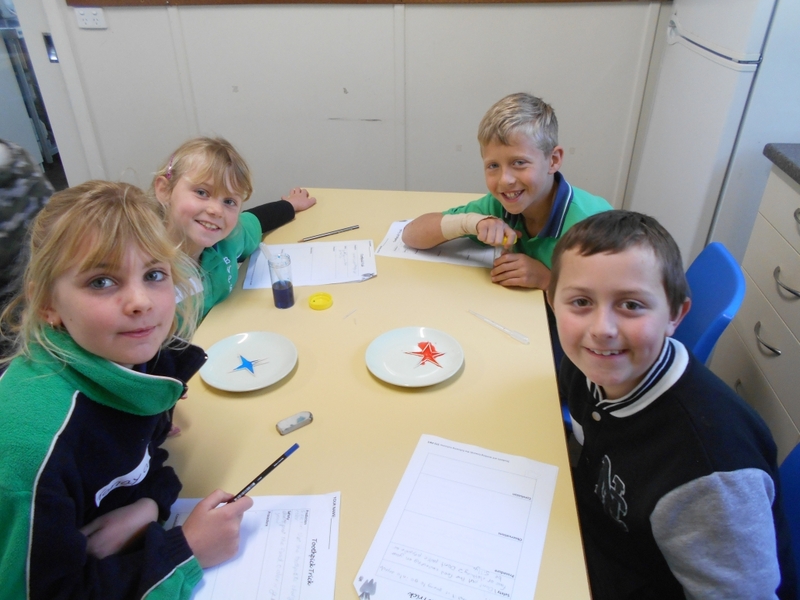 National Science Week – What a blast! 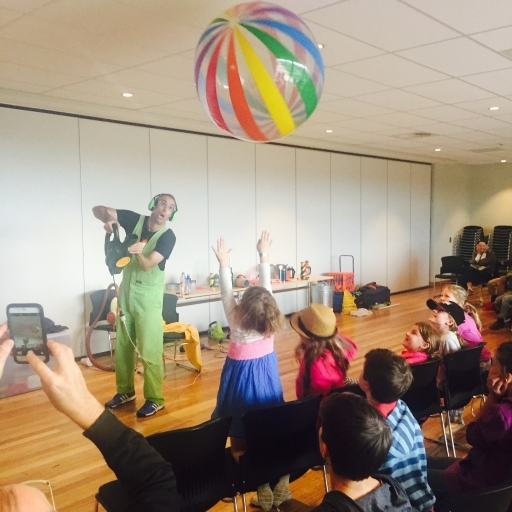 The Sapphire Coast Regional Science Hub’s Sapphire Coast Science Festival finished with a bang at the Bega Valley Commemorative Civic Centre on Sunday 21st August. Read what some of the locals thought about the events! Robotics and coding fun at the School STEM Expo! 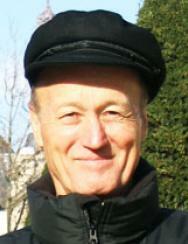 Bournda EEC staff were saddened by the passing of Dr Paul Brock, an educational visionary and a superb mind. 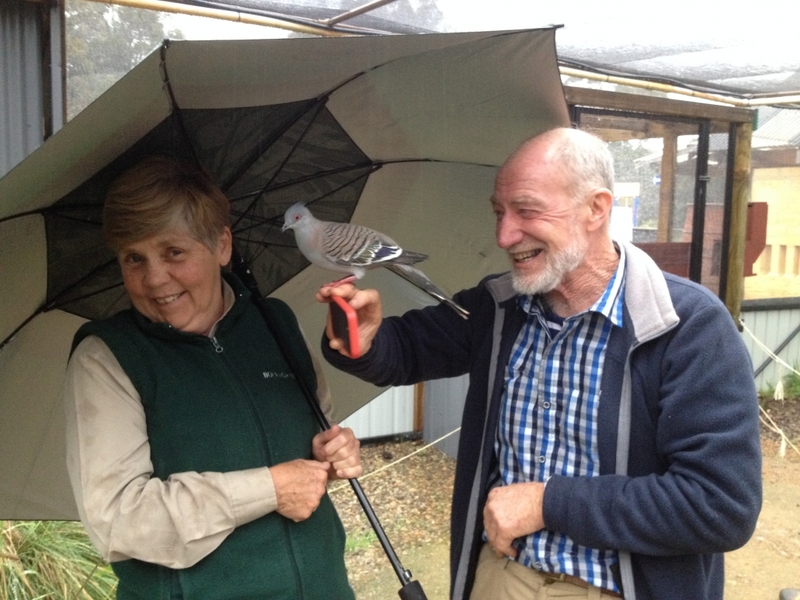 Paul was the keynote speaker at the 2013 Environmental Education and Zoo Education Centre conference in Tathra and his inspirational words gave us energy and purpose!